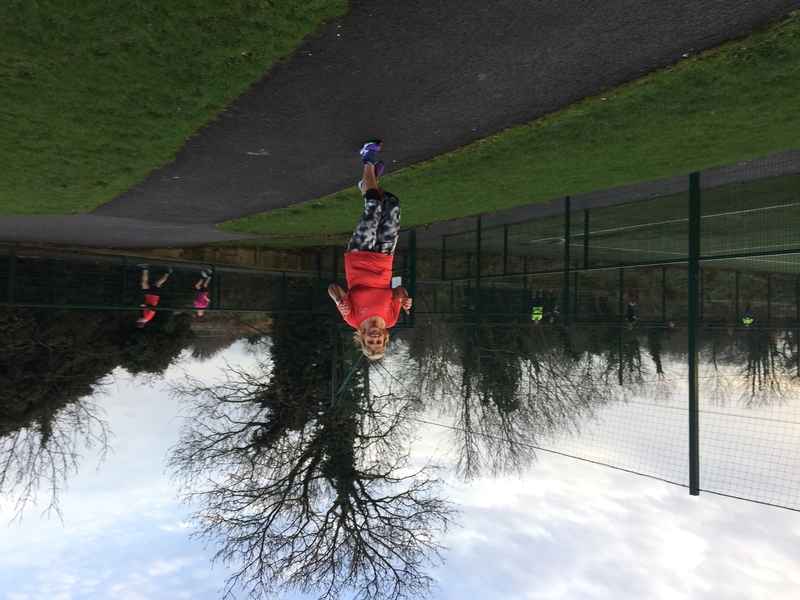 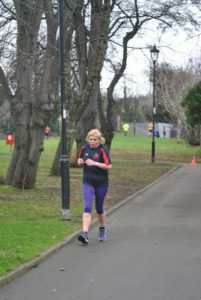 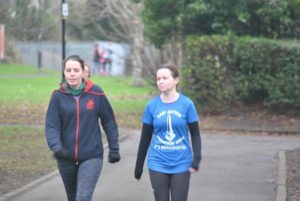 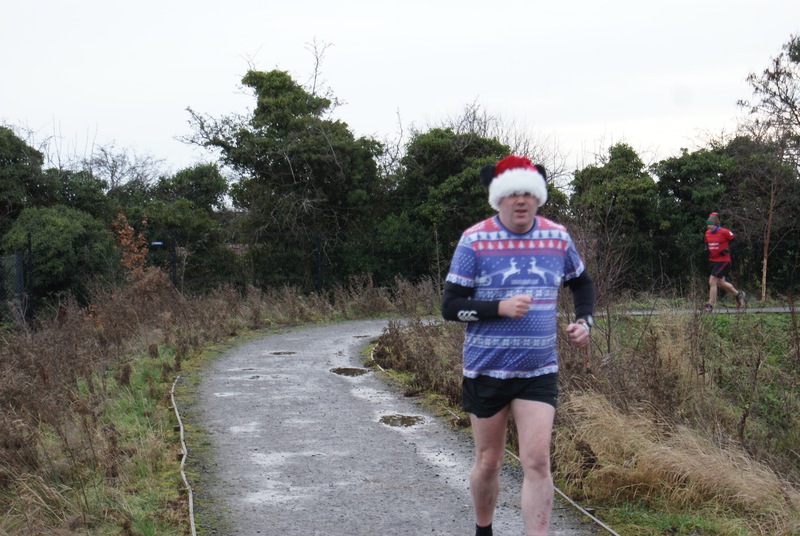 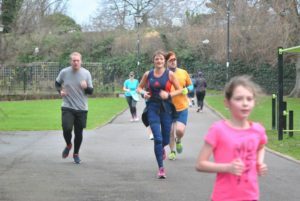 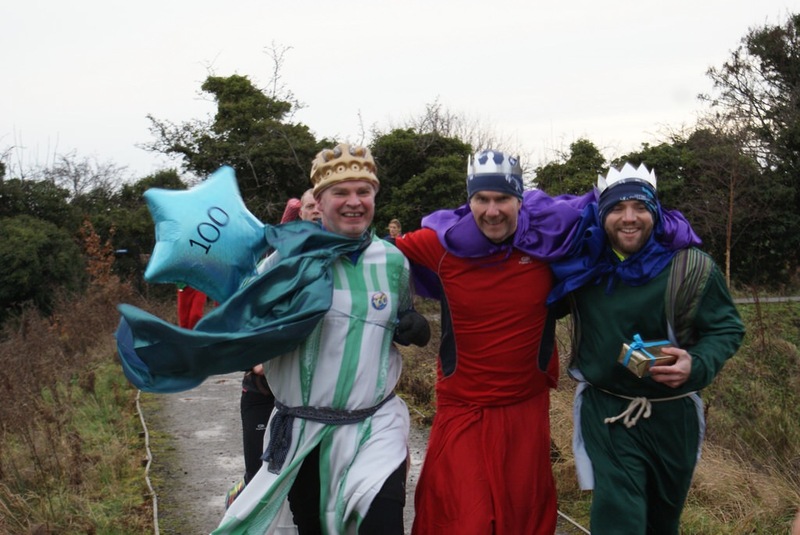 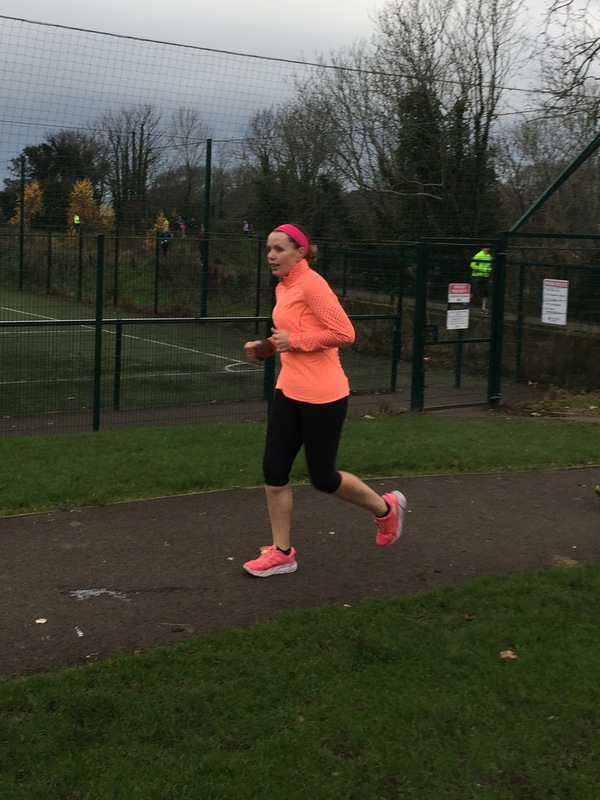 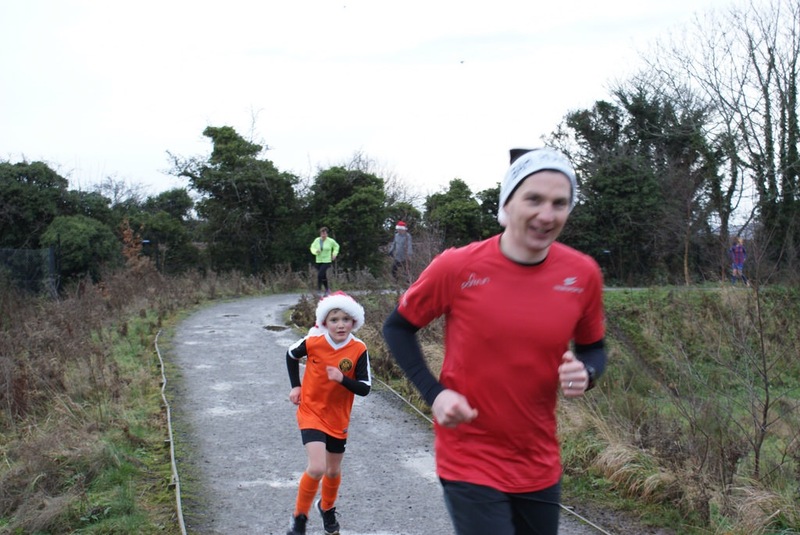 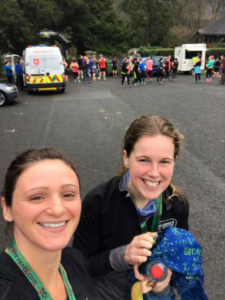 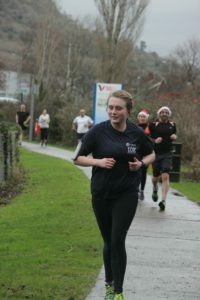 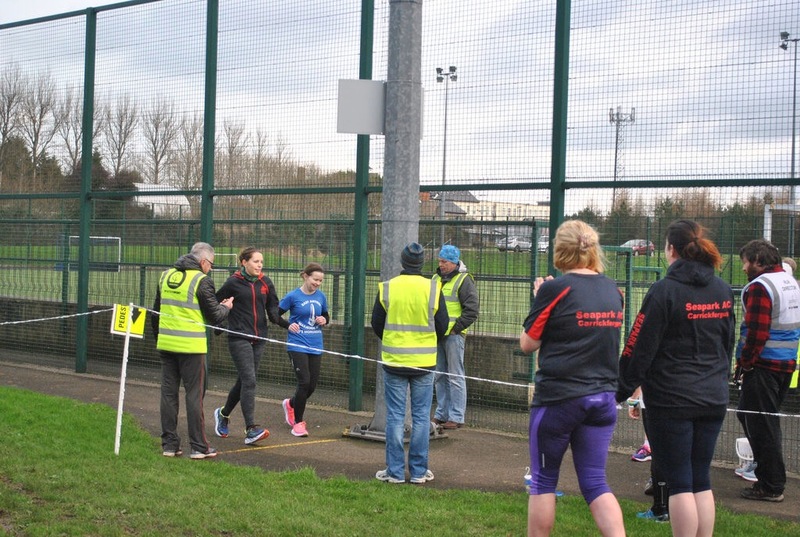 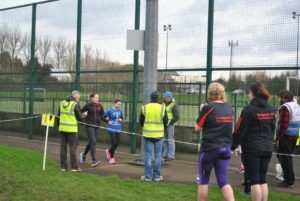 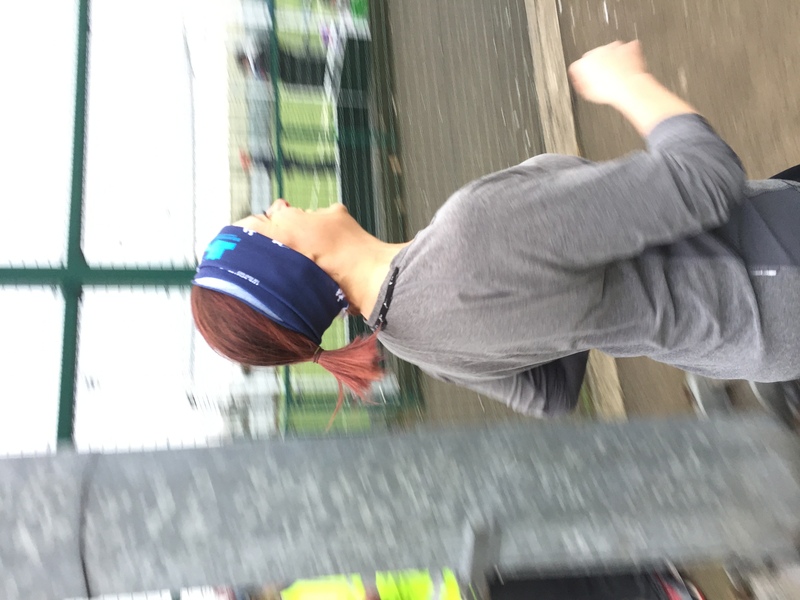 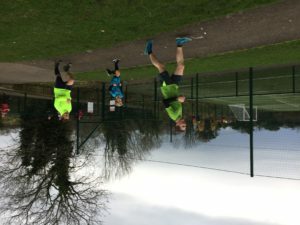 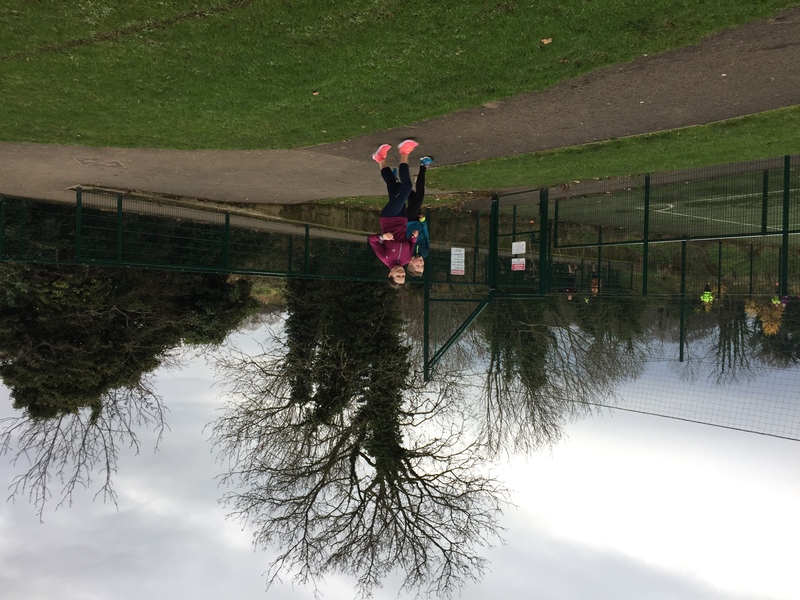 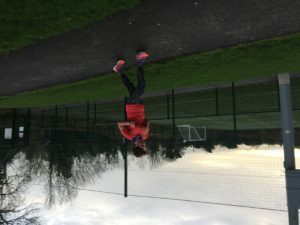 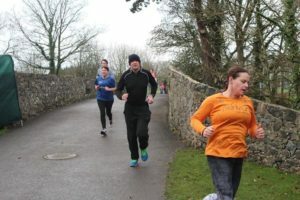 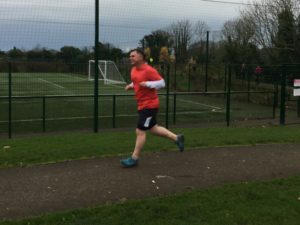 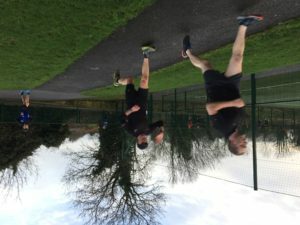 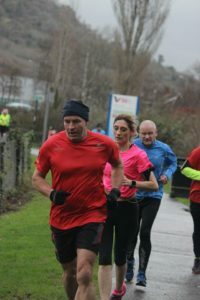 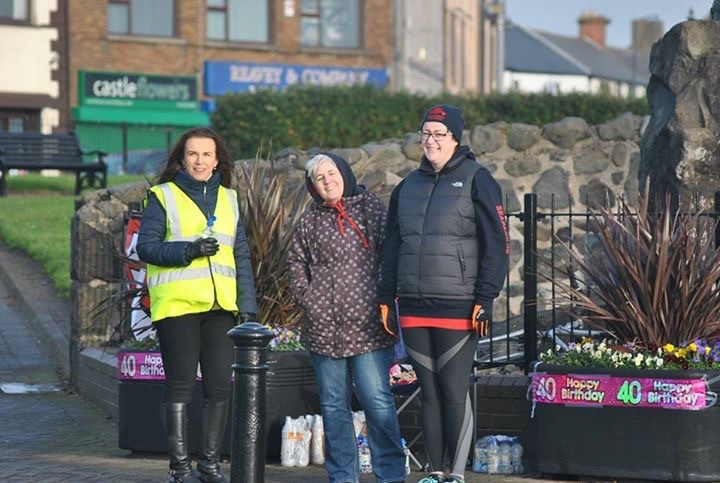 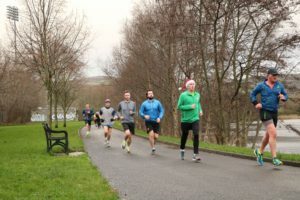 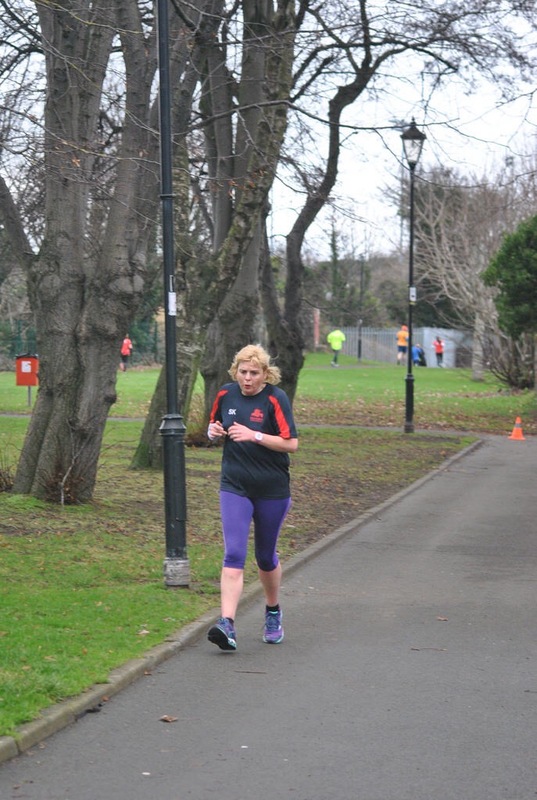 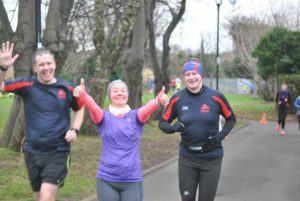 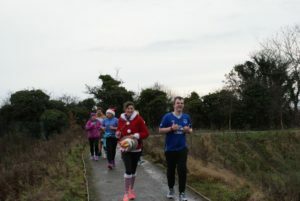 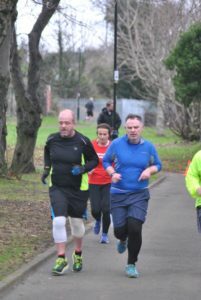 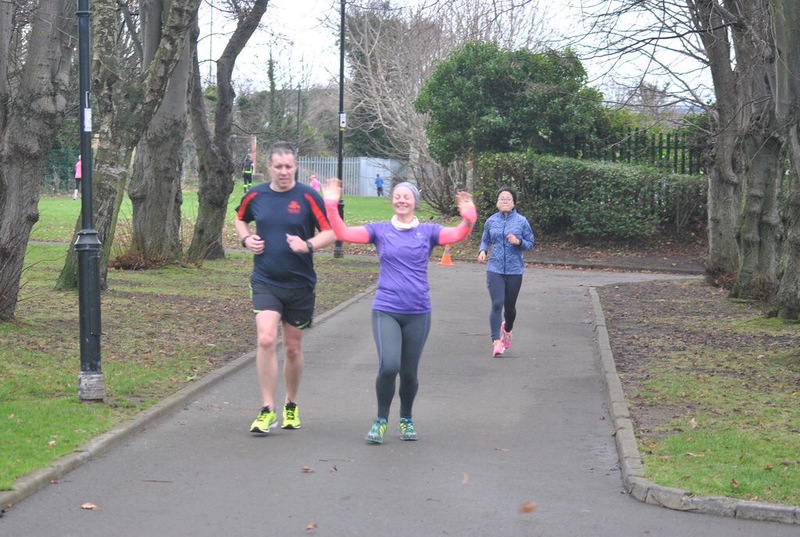 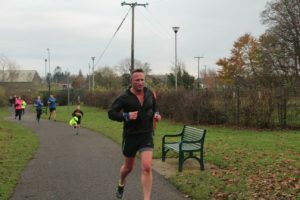 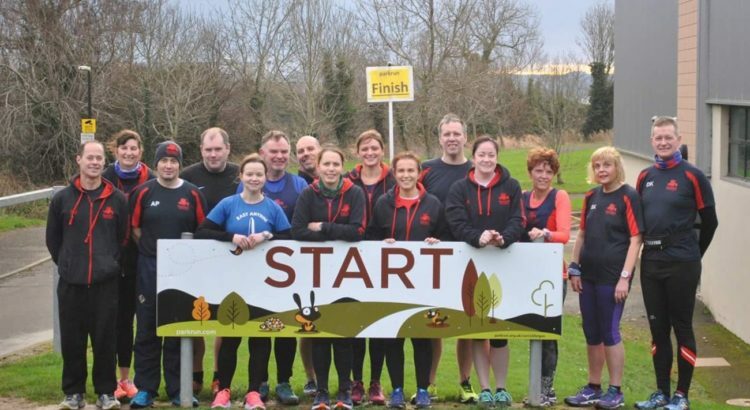 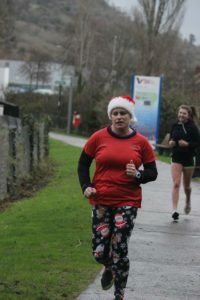 The Born2Run Loughall 10K was held on the 3rd December. 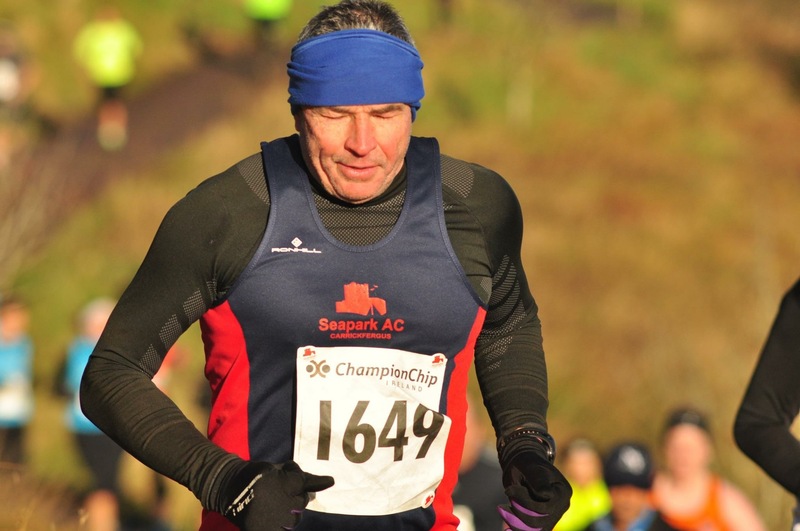 Colin McCrum was the first Seaparker over the line with a time of 53:28. He was followed by Simon Trimble 59:12, Becki Tester 59:23 and Karen McMaster with a time of 1:03. 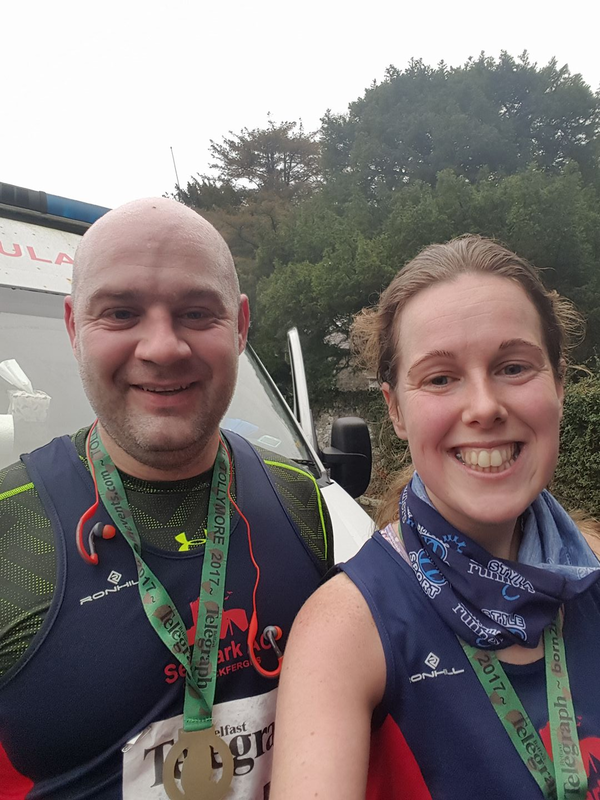 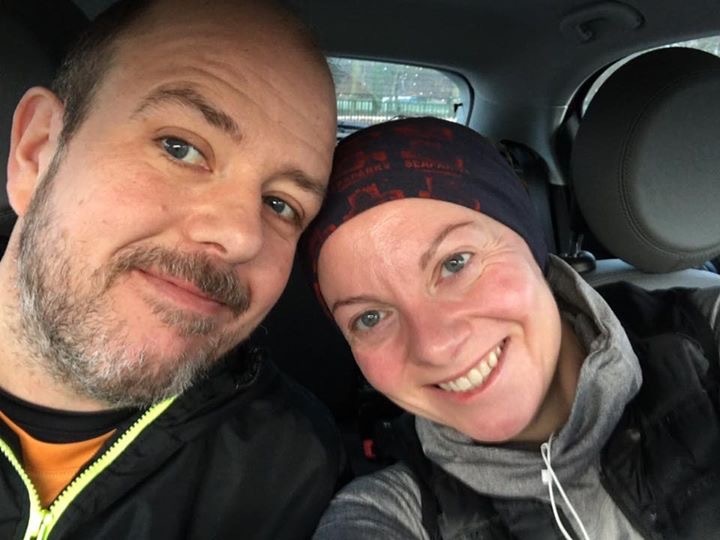 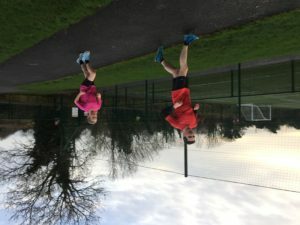 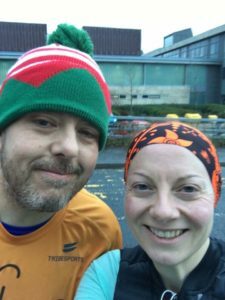 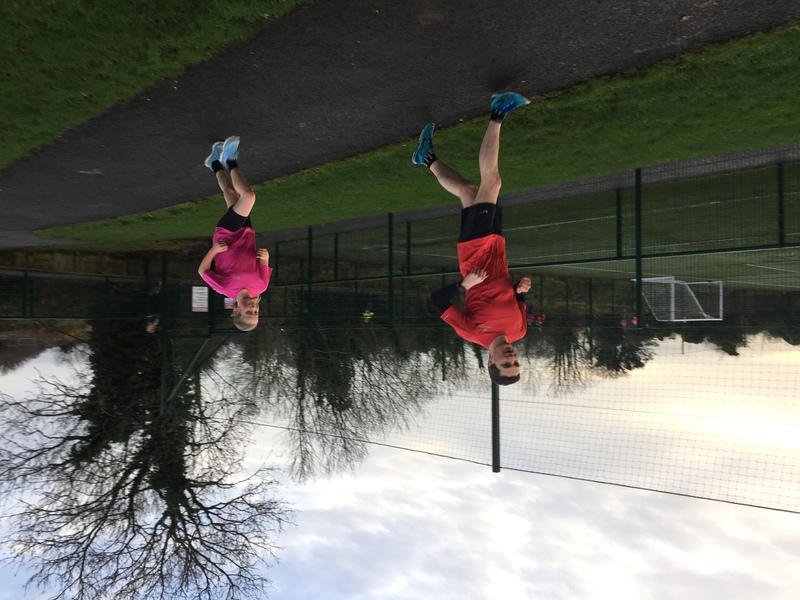 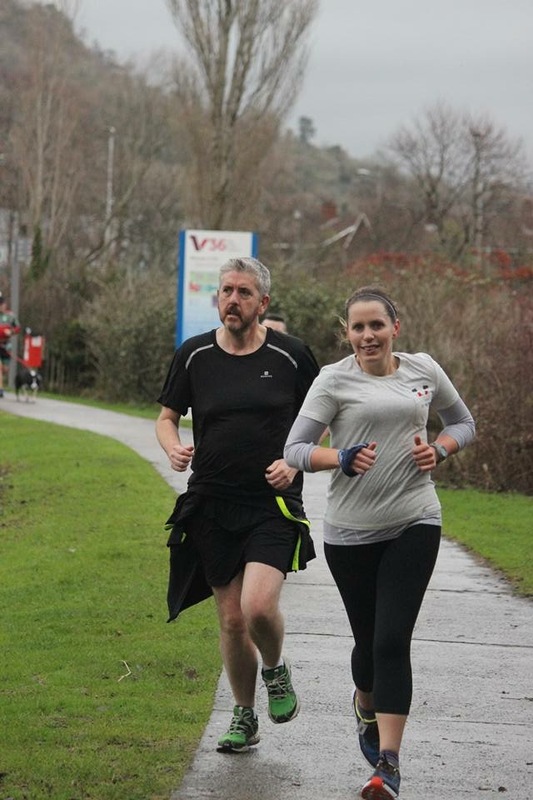 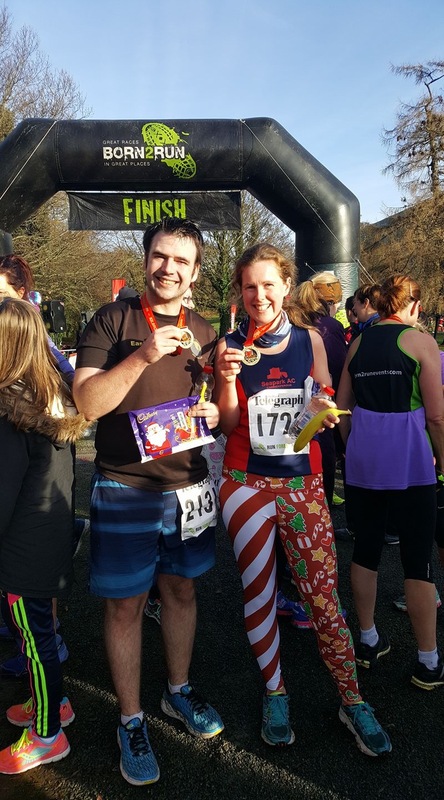 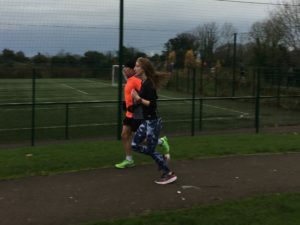 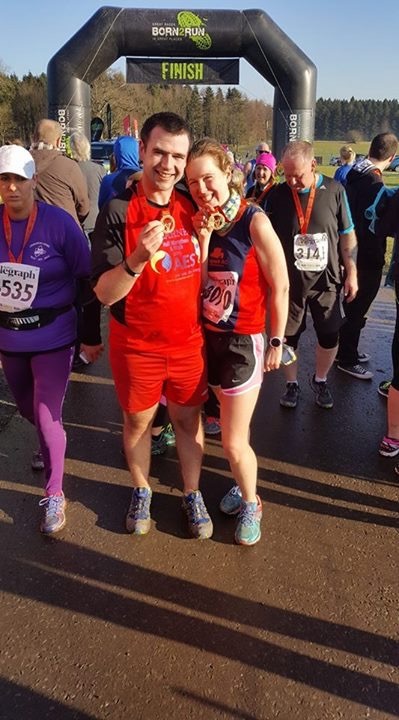 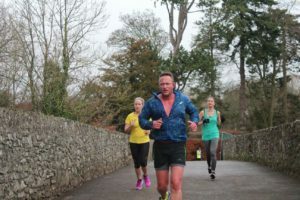 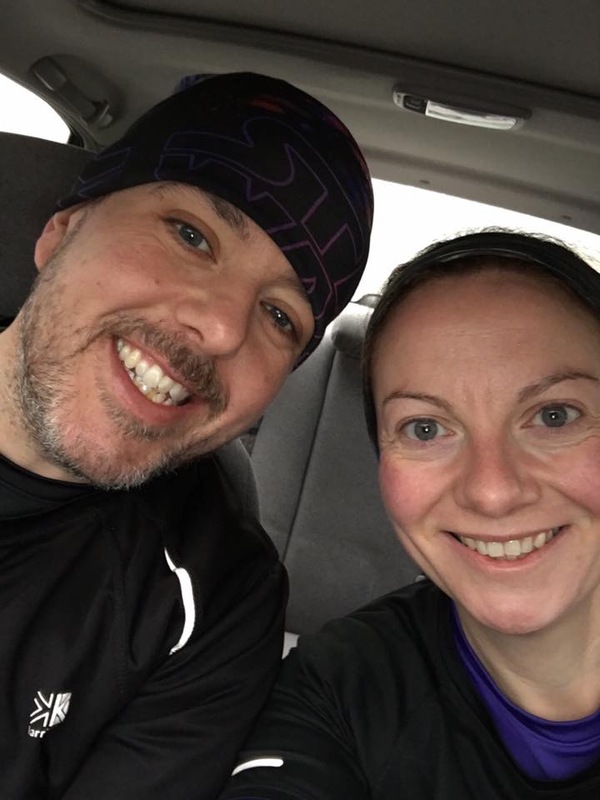 Gary Connolly and Gillian Barnhill both completed the Clonakilty Back to back marathons on 2nd & 3rd December with Gary having a finishing time of 4:24 and Gillian being First Lady with a time of 4:03. 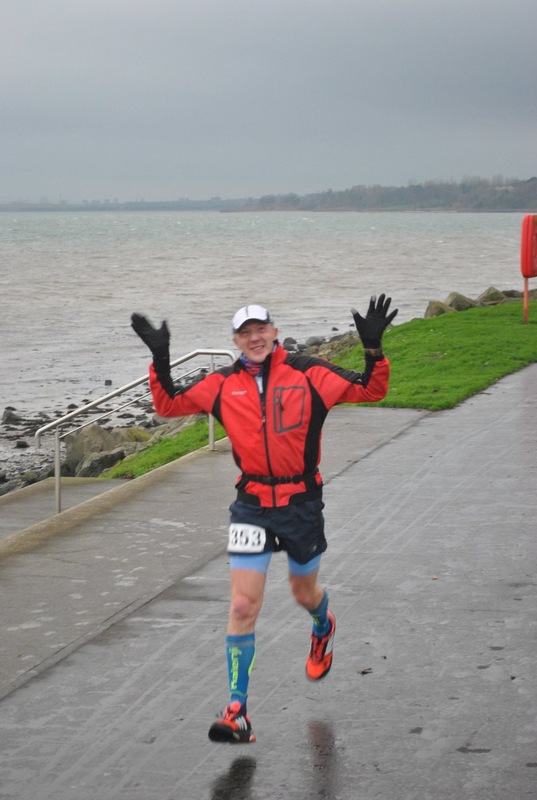 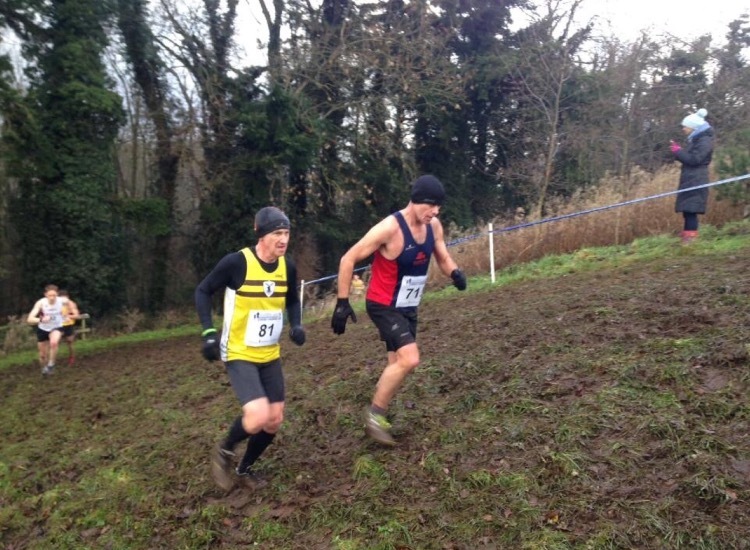 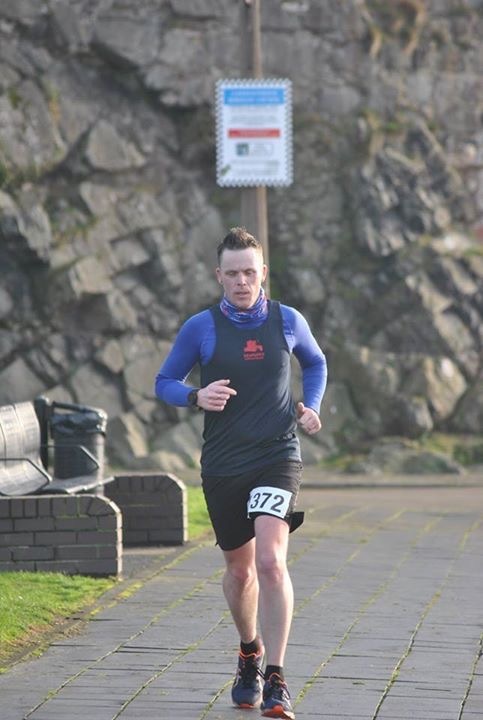 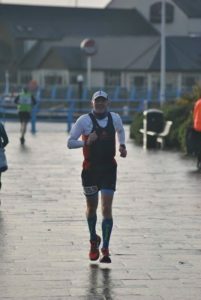 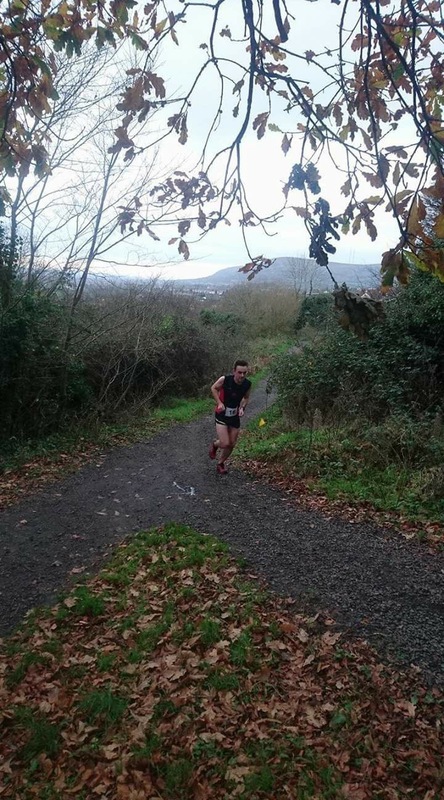 Bobbie Irvine also competed in the ‘Loop of the Lough’ event and finished 4th (3rd Male) with a time of 9:20:00. 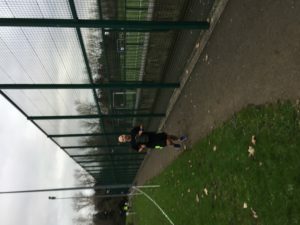 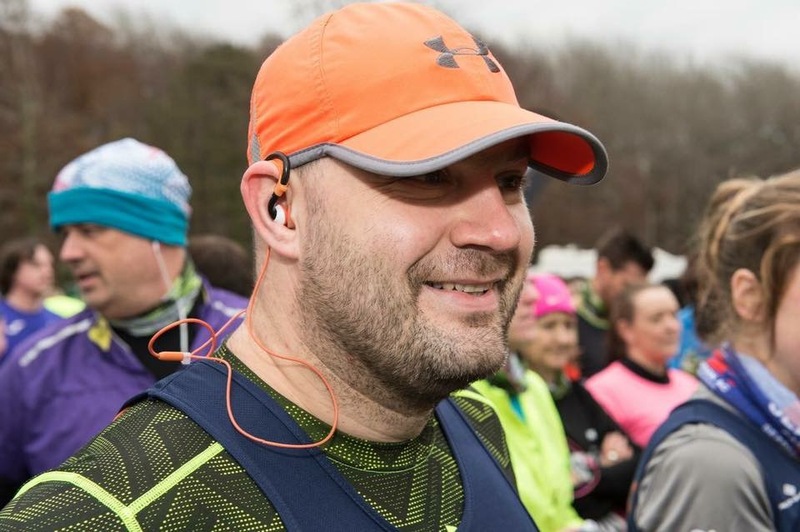 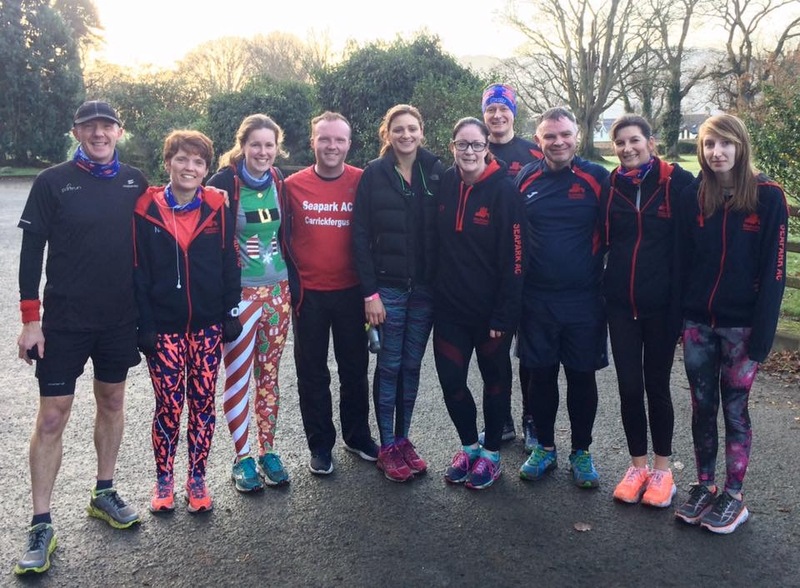 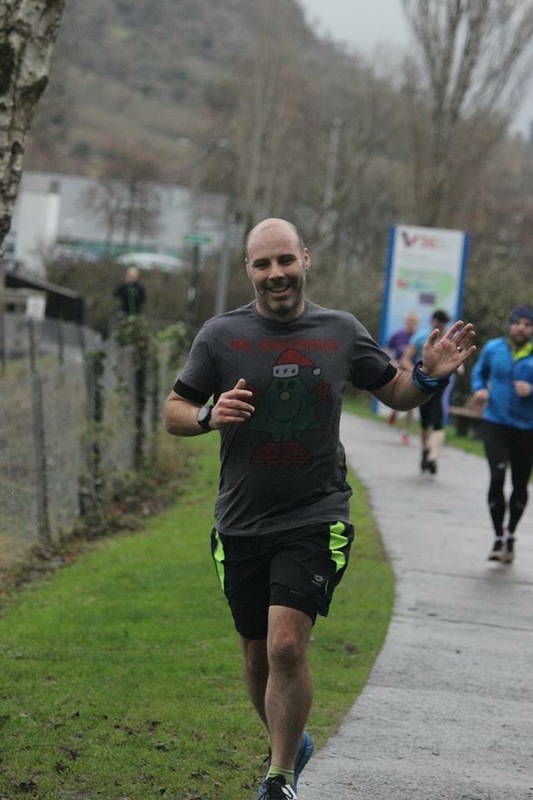 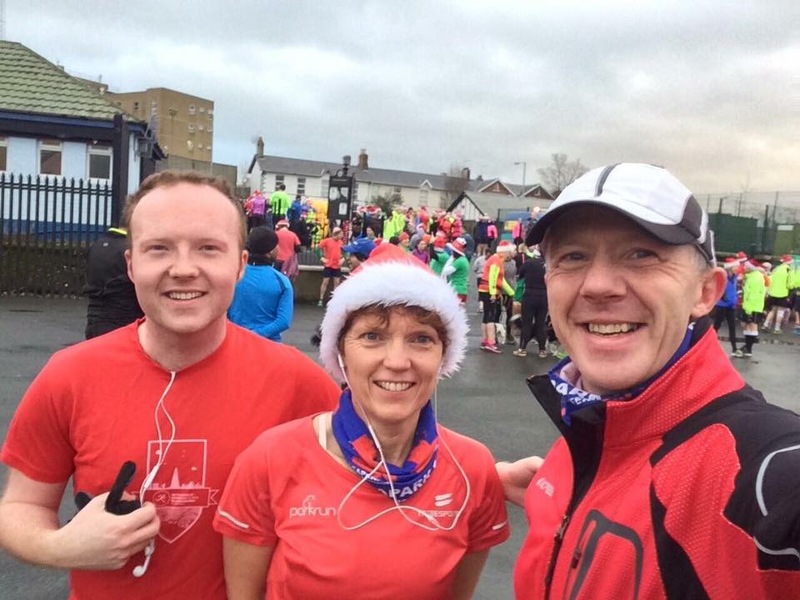 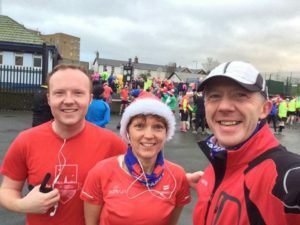 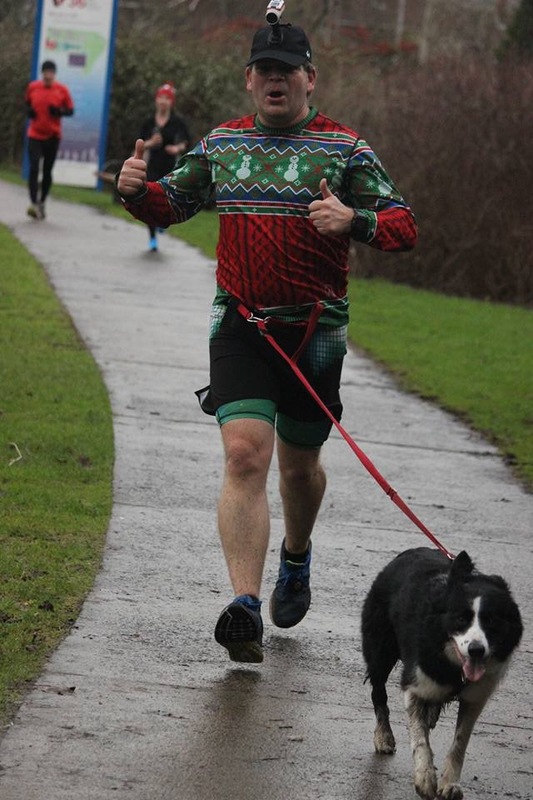 On Sunday 4th December members of Seapark AC took part in the Action on Hearing Loss 5 mile fun run in Hazelbank with Richard Craig winning the 5 mile race with a time of 28:41. 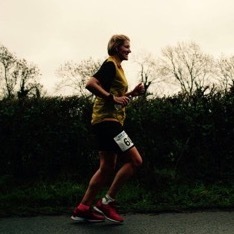 He was followed by Gareth Hamill 37:47, Heather Haggan 39:29, Lynda Shannon 41:01 & Catherine Steele 42:44. 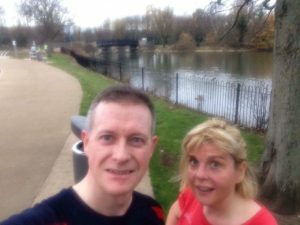 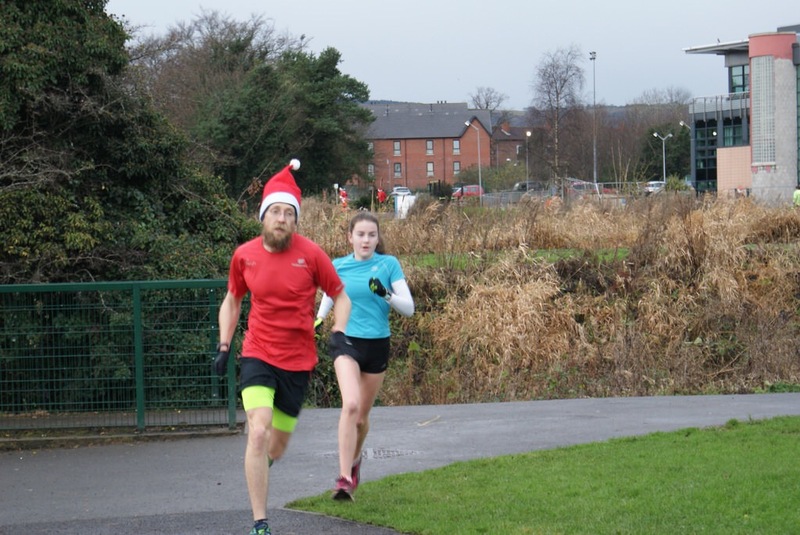 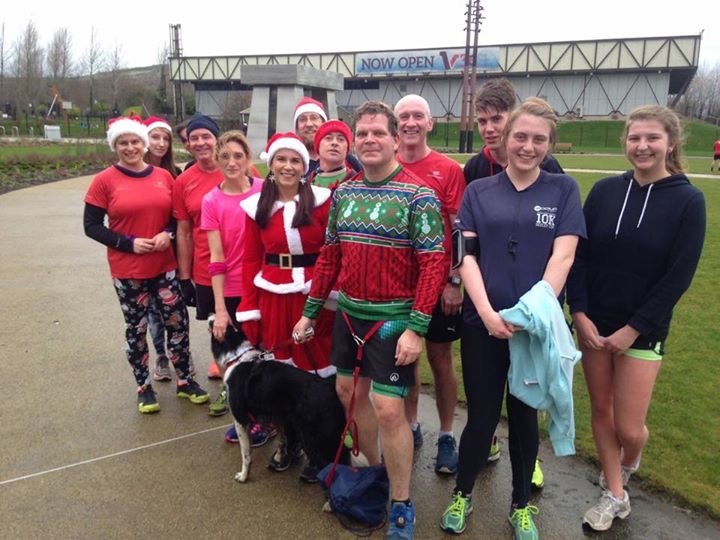 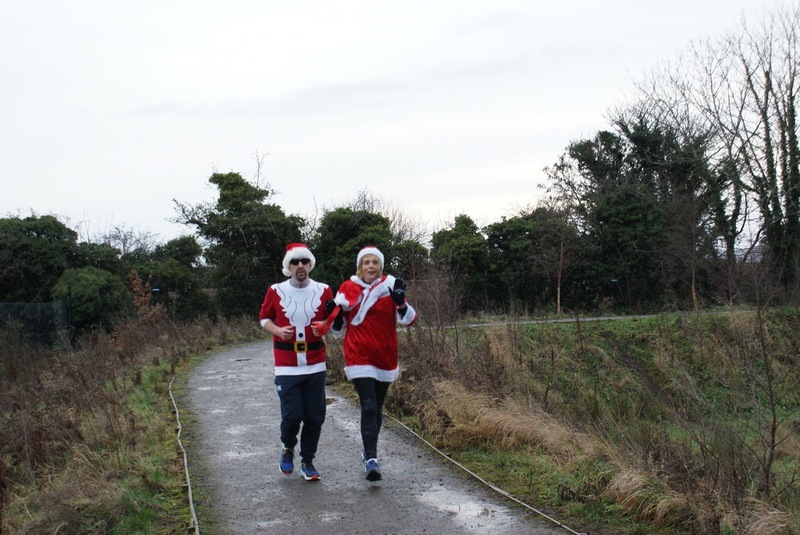 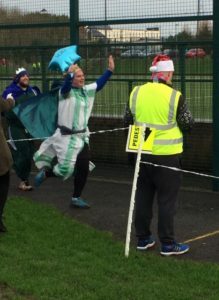 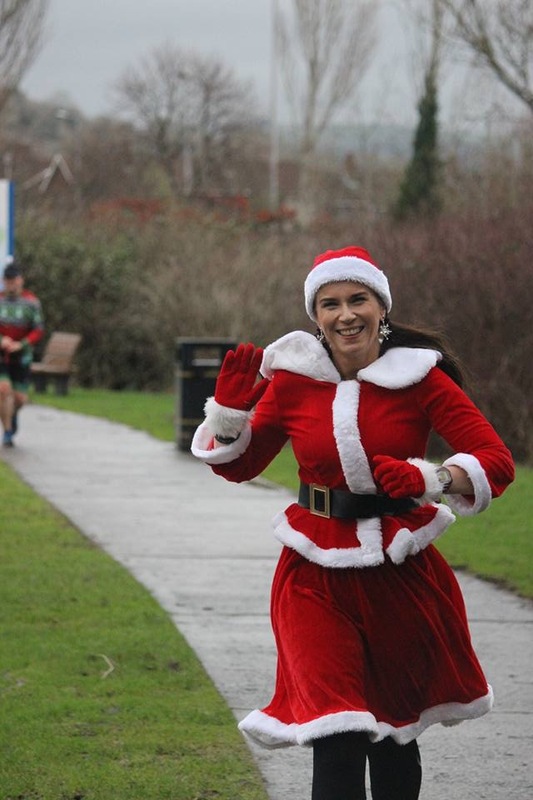 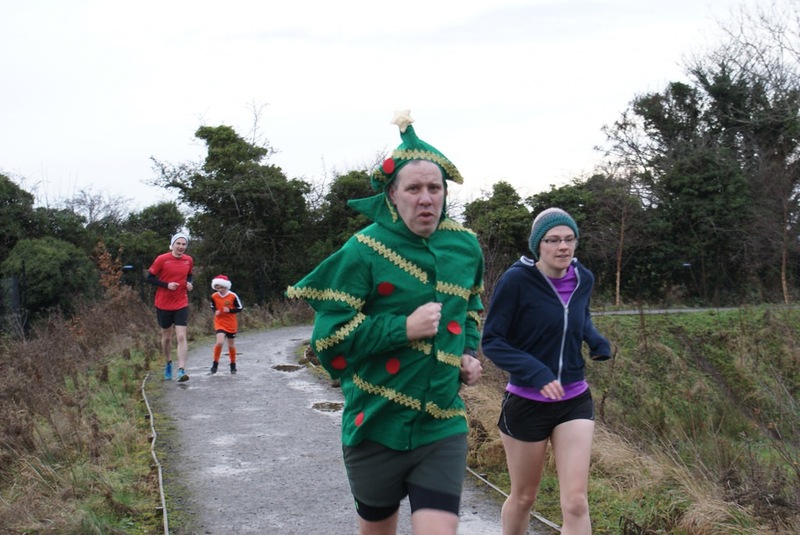 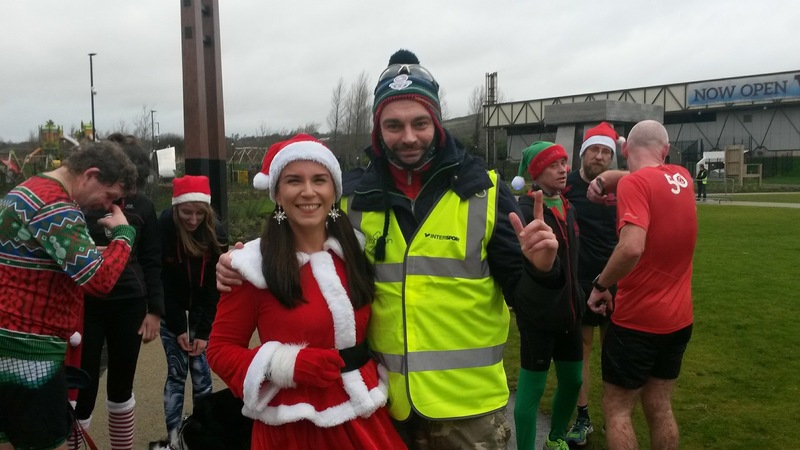 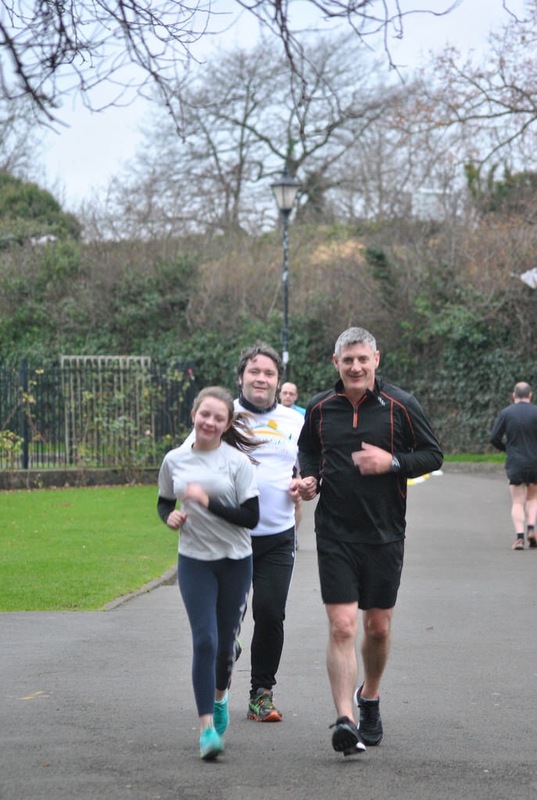 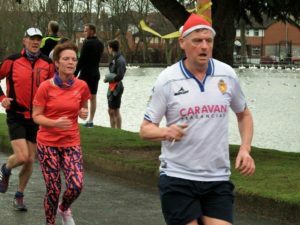 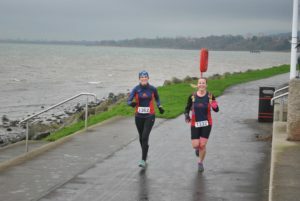 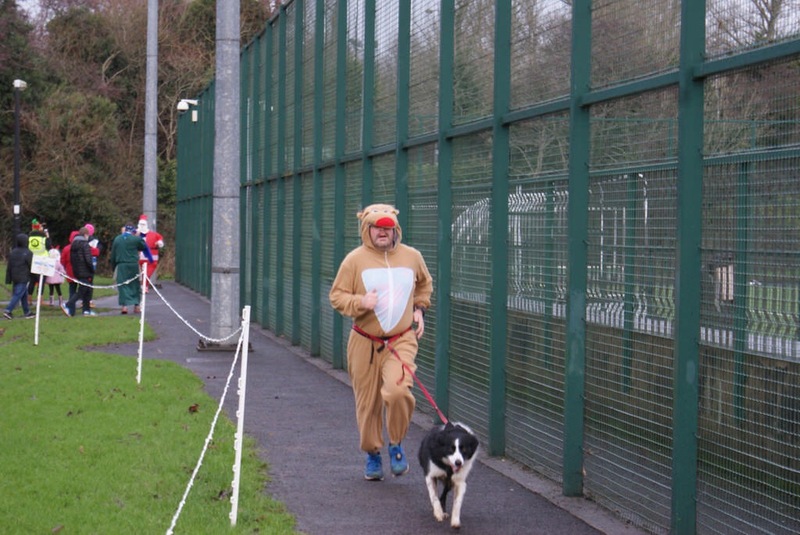 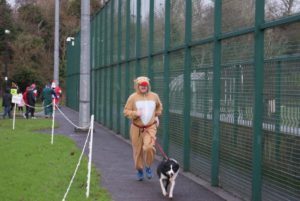 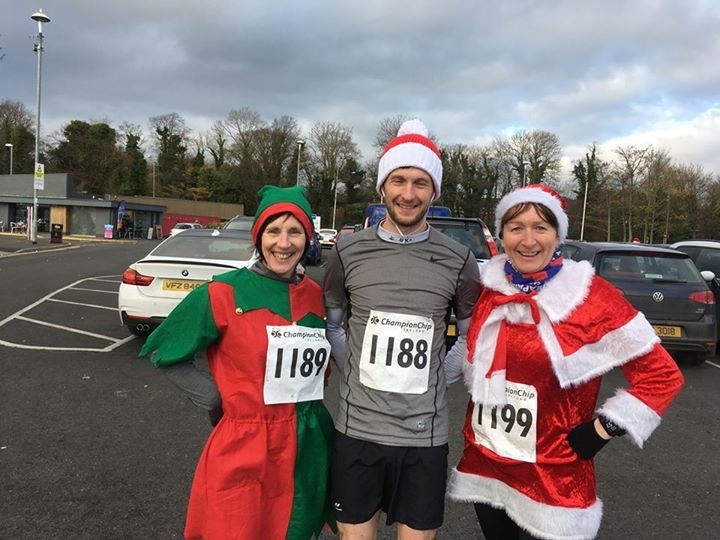 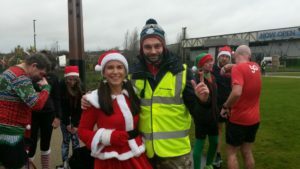 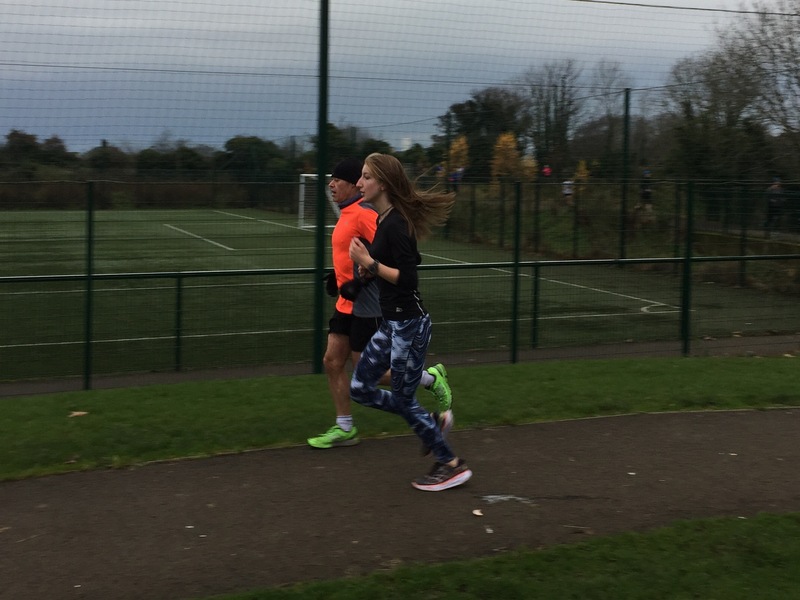 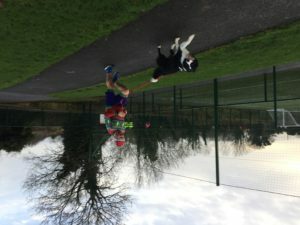 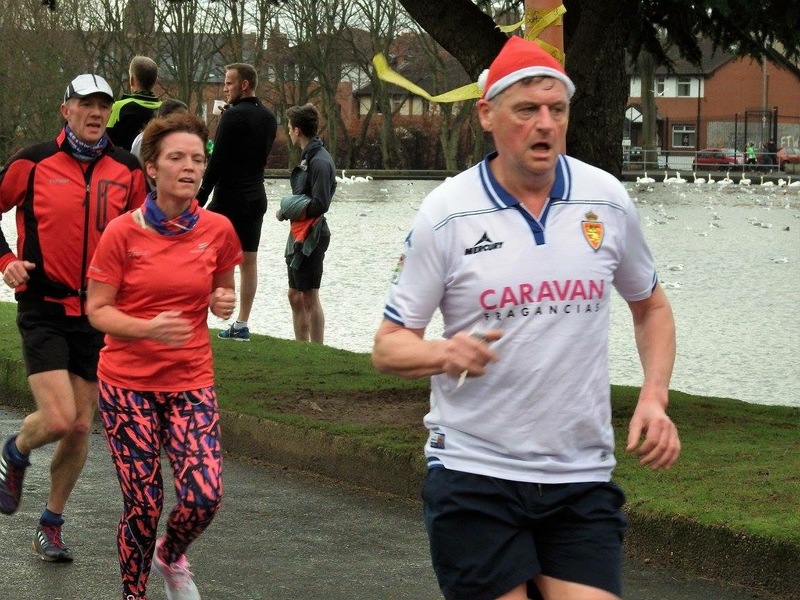 On Wednesday 7th December Brendan Rice and Gillian Barnhill ran the EAMS Santa Dash marathon in Monkstown. 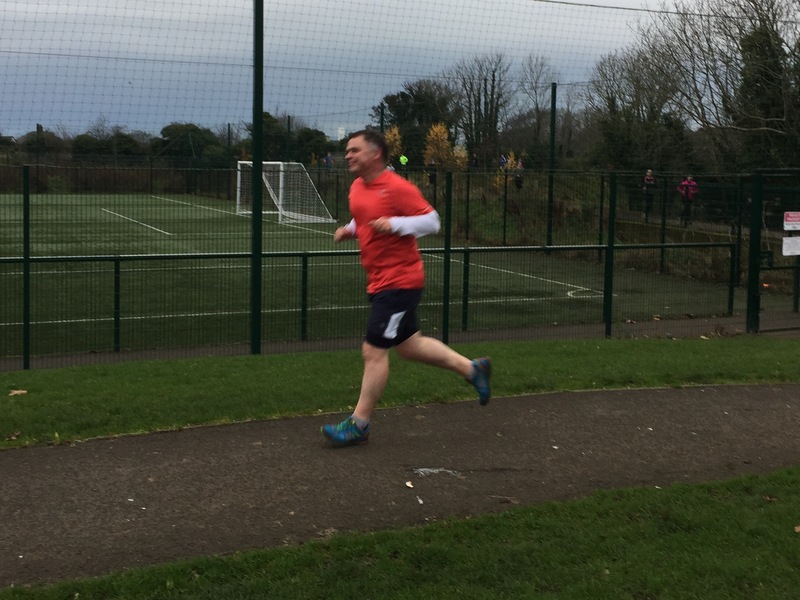 All proceeds from this race went to support the Billy Caldwell Appeal. 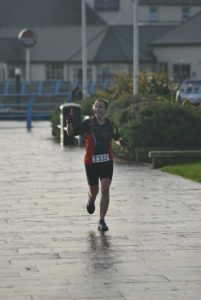 Brendan finished in 3:53:50 and Gillian was first lady home in a time of 4:04:21. 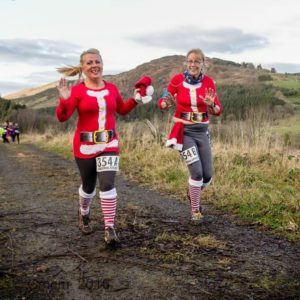 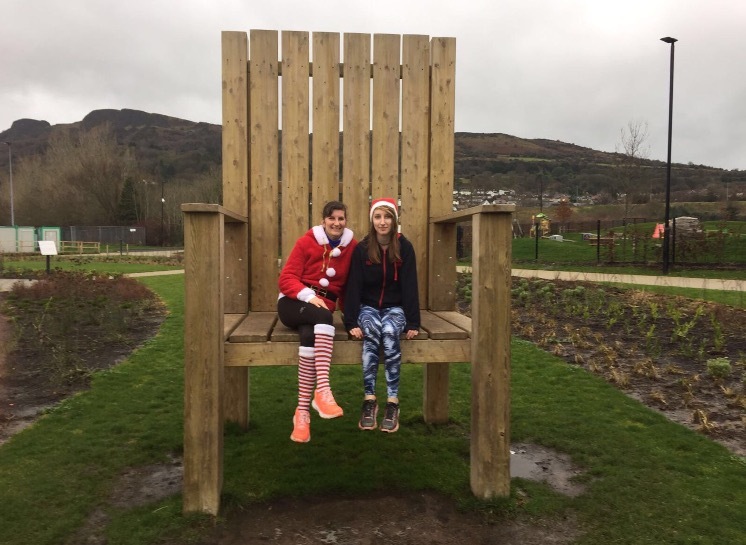 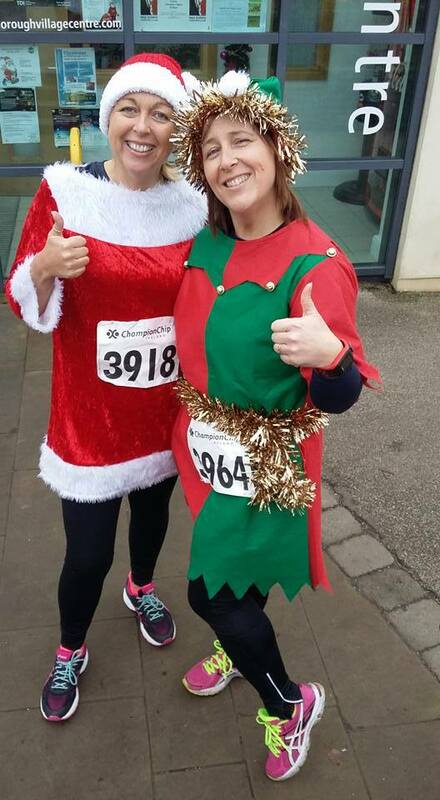 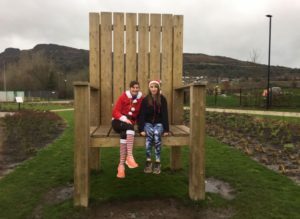 On Saturday 10th December Karen McIlroy and Jackie Reid travelled to Hillsborough for the 10K and 5K Santa Run respectively. 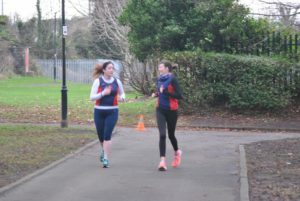 Karen finished with a PB time of 57:10 (10K) and Jackie 31:28 (5K). 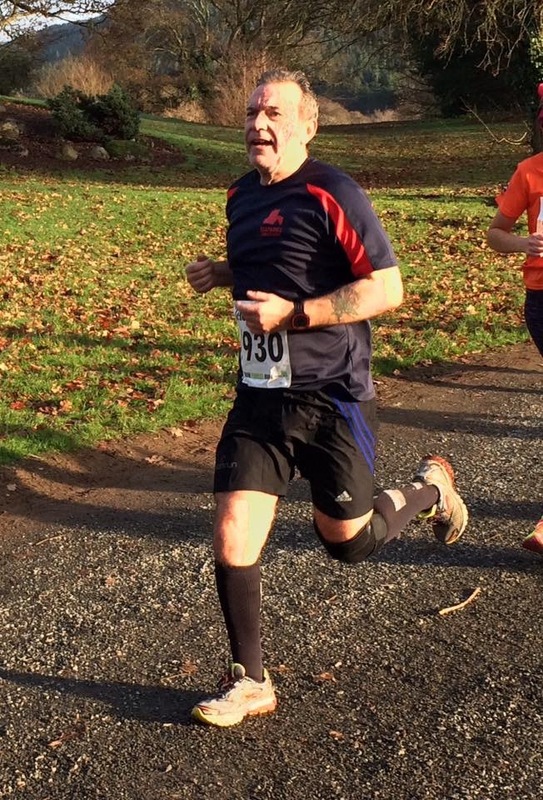 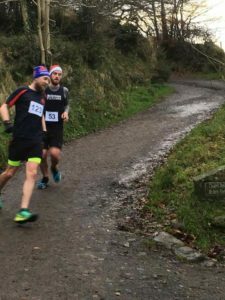 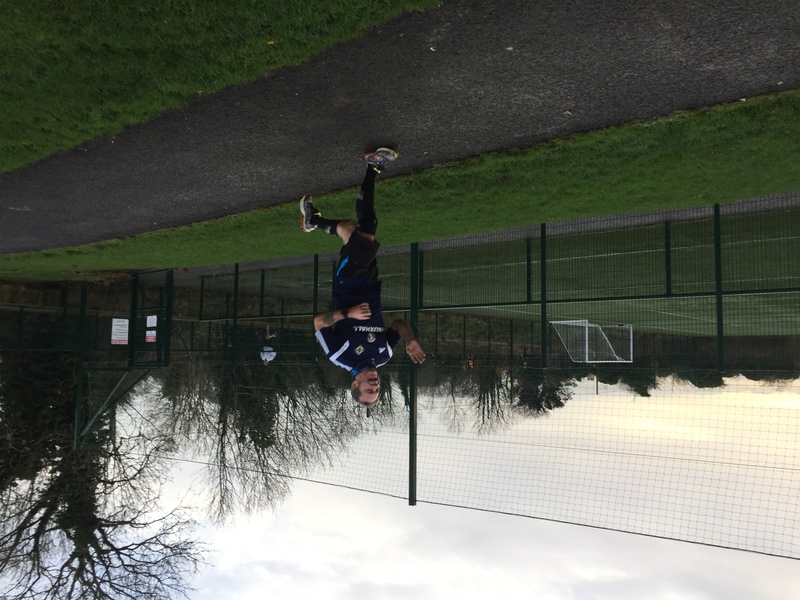 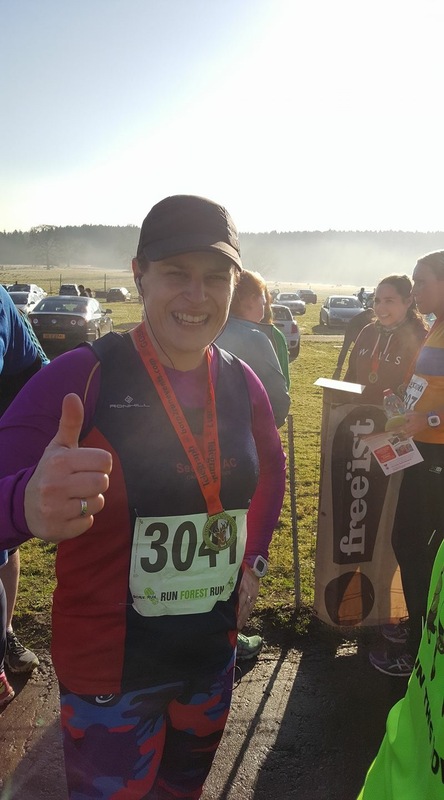 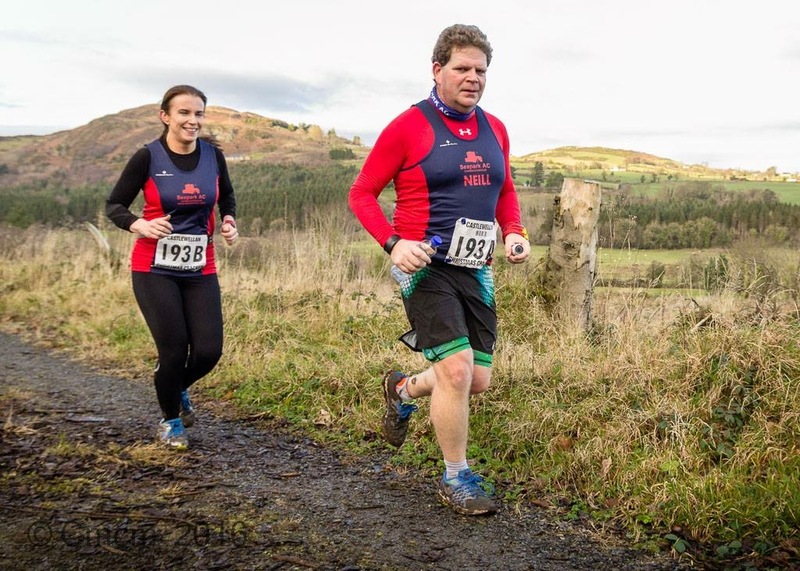 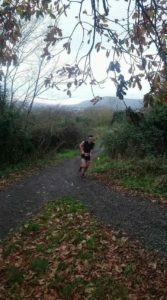 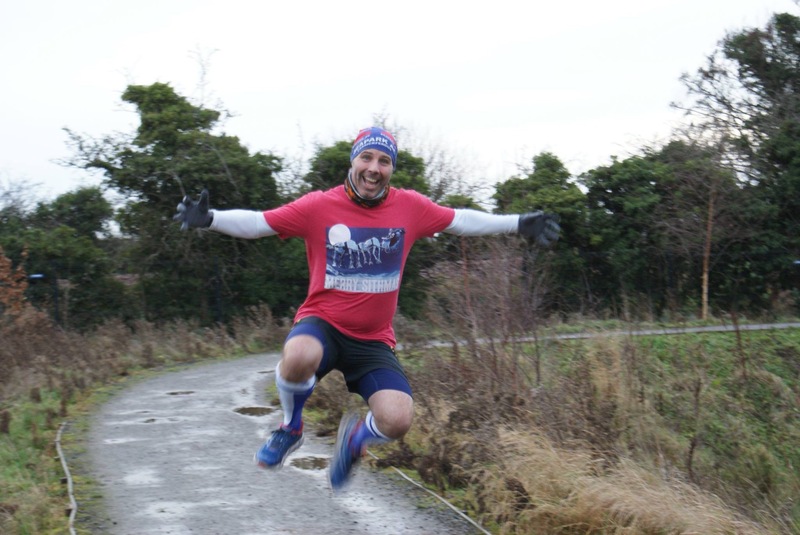 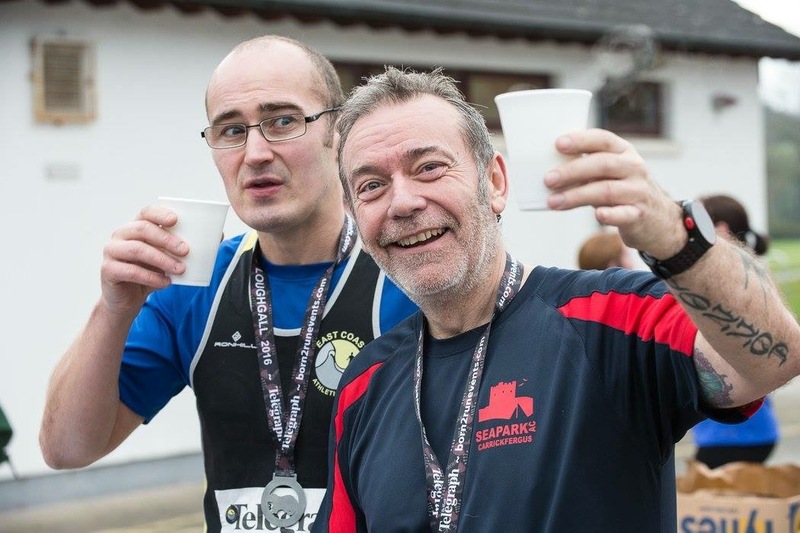 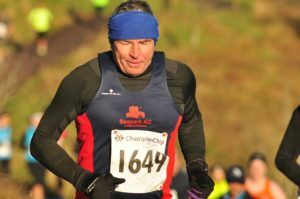 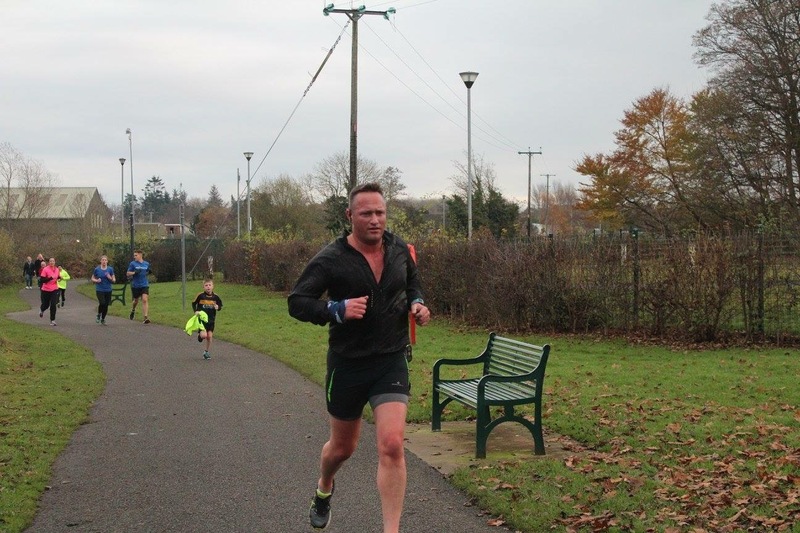 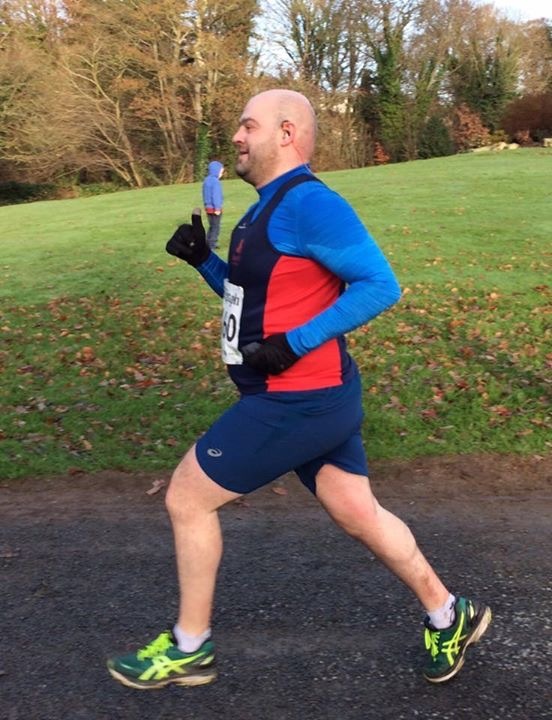 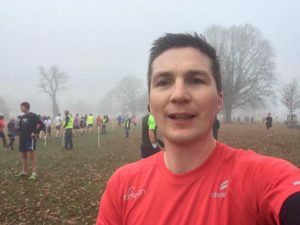 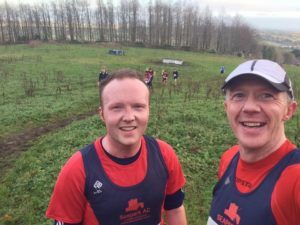 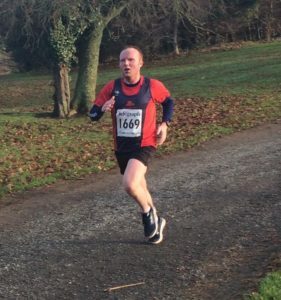 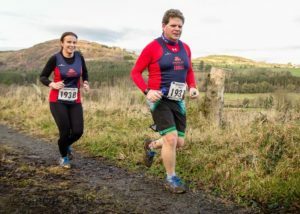 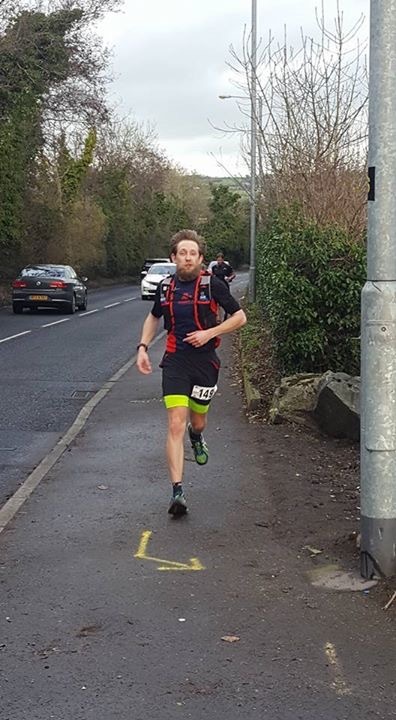 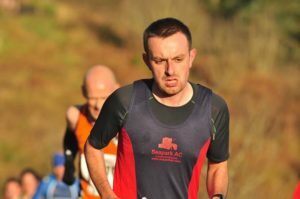 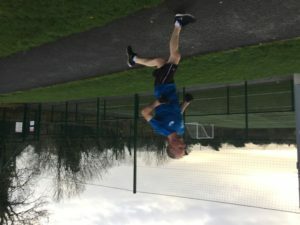 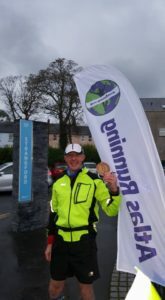 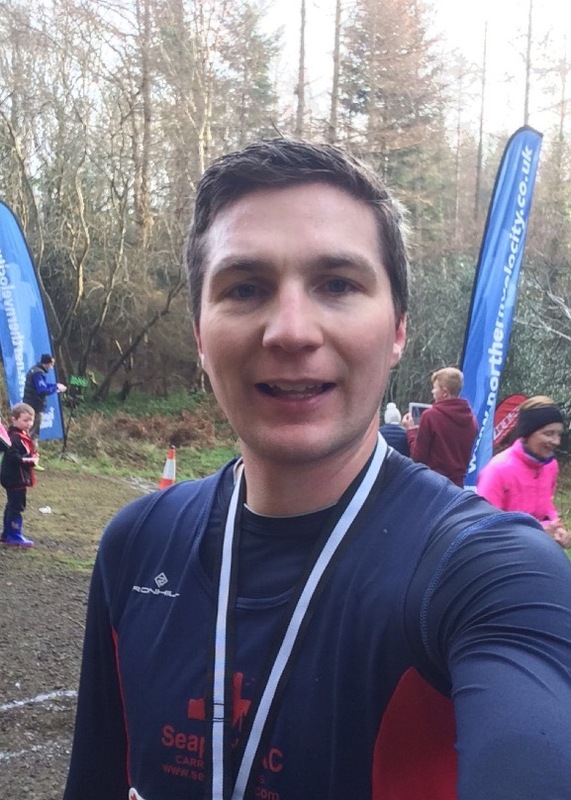 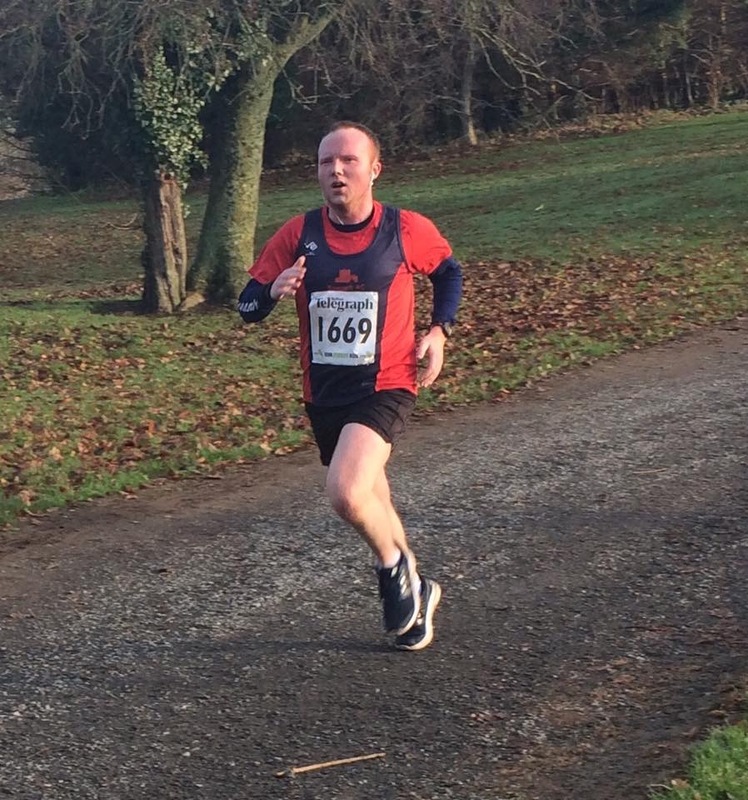 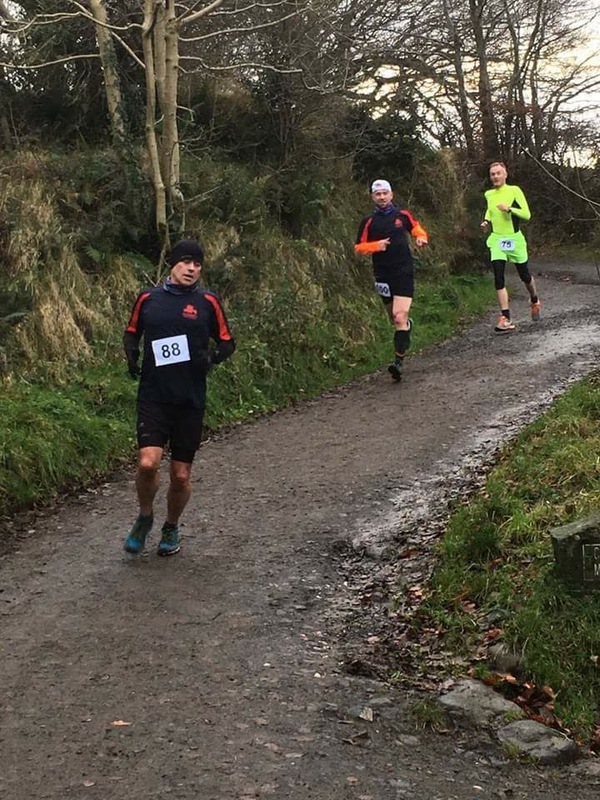 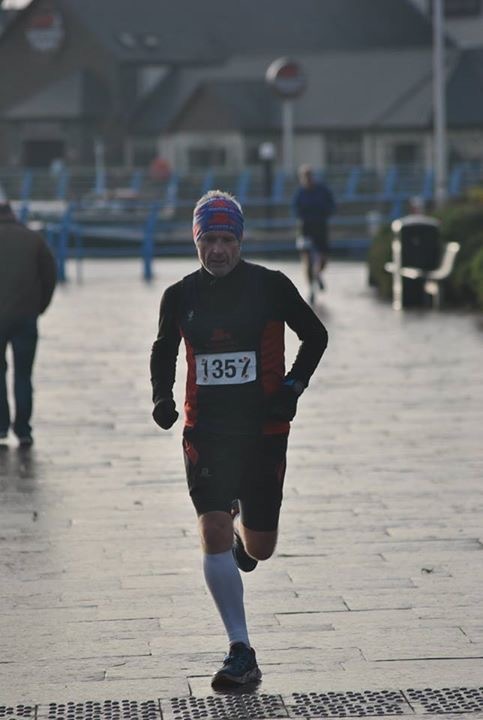 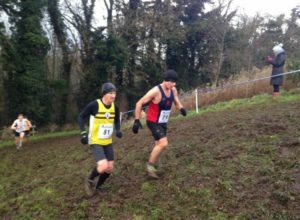 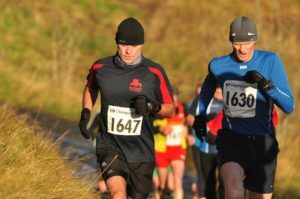 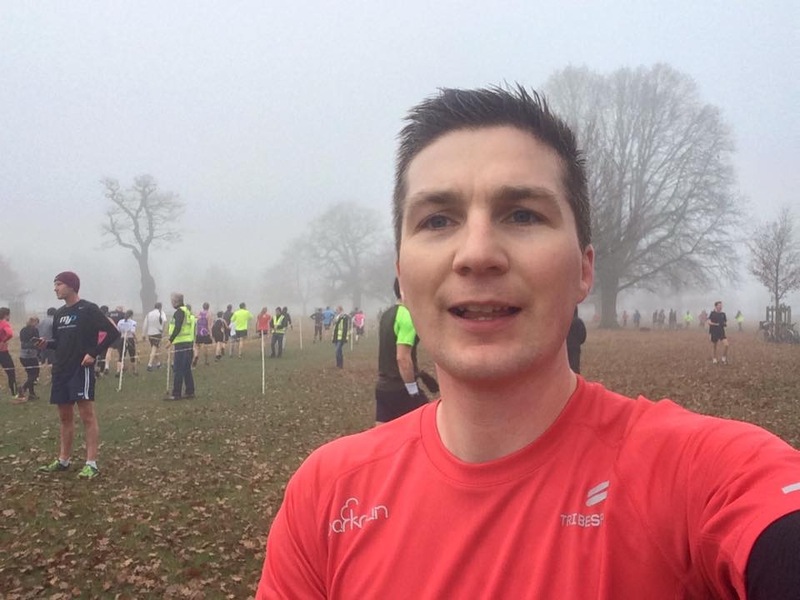 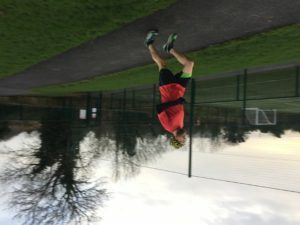 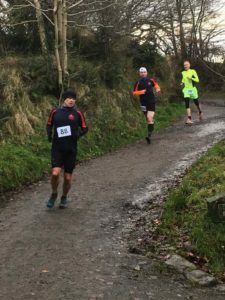 Also on Saturday 10th December Ronald Simms competed in the first of the Sperrin Harriers Winter League trail series – the Davagh 10K (his 30th 10K this year) which he finished in a time of 48:42. 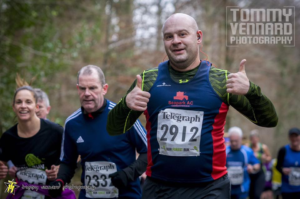 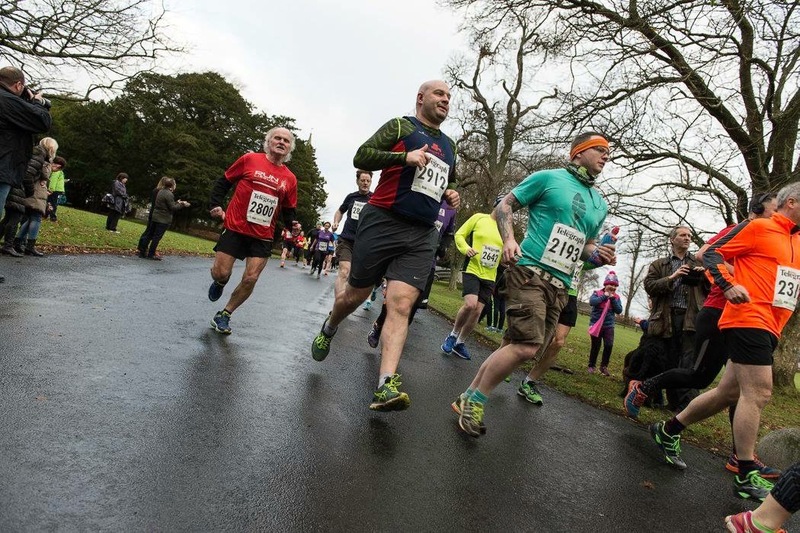 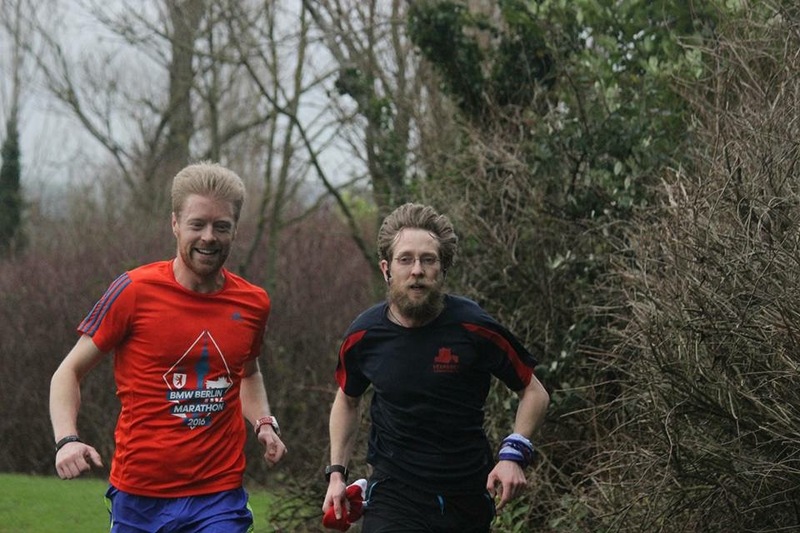 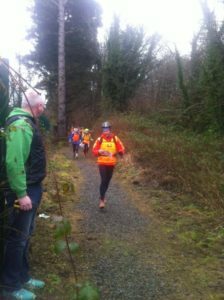 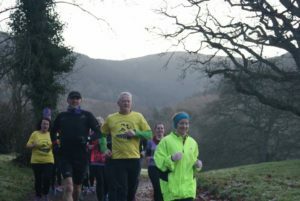 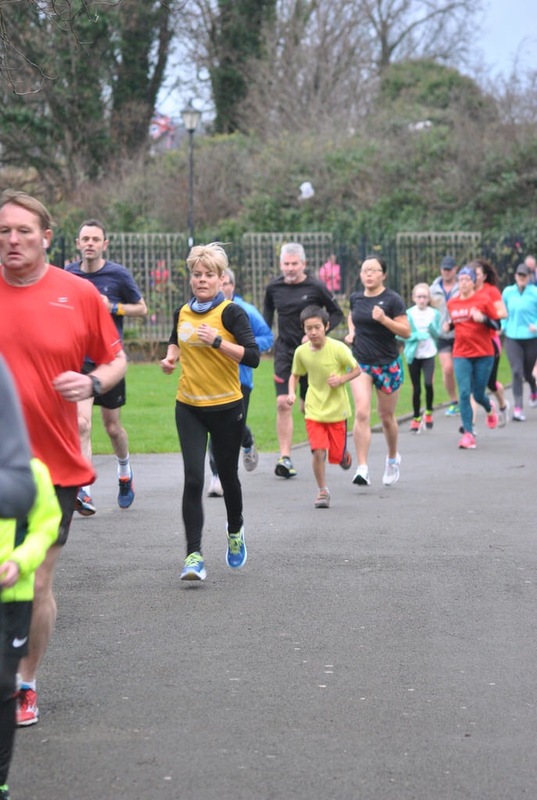 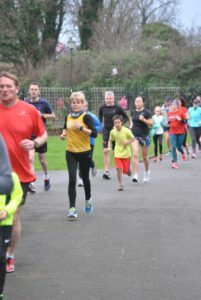 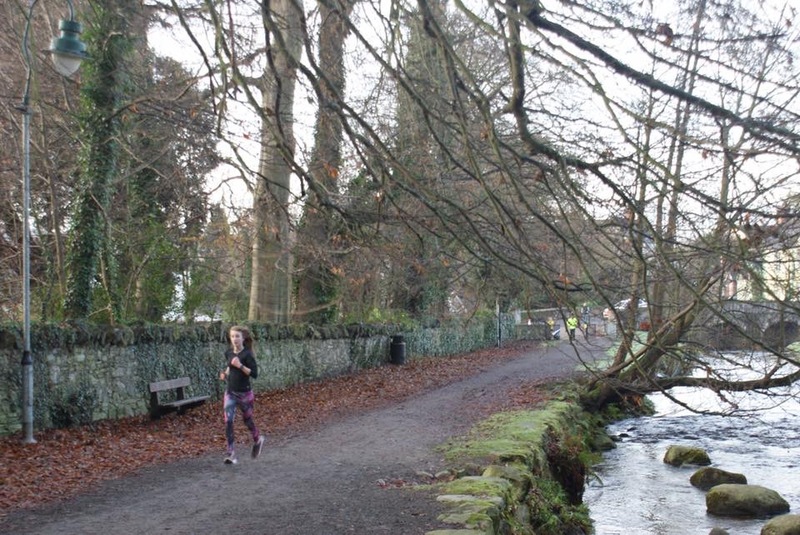 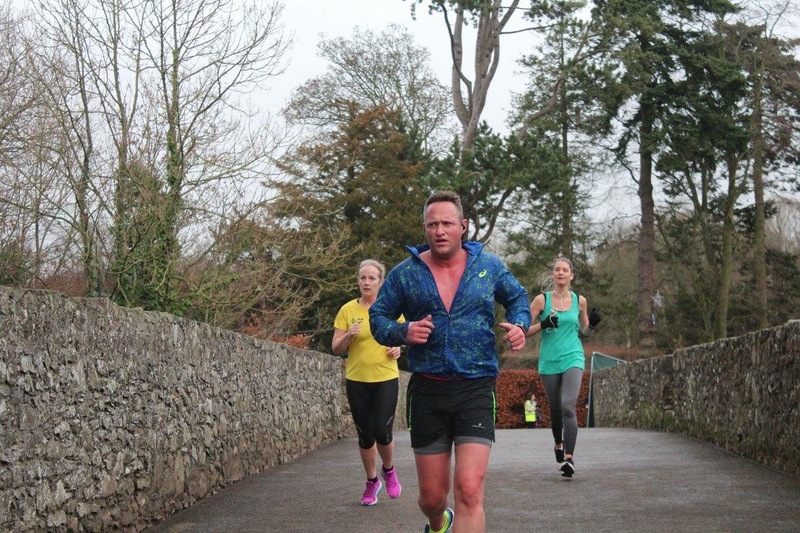 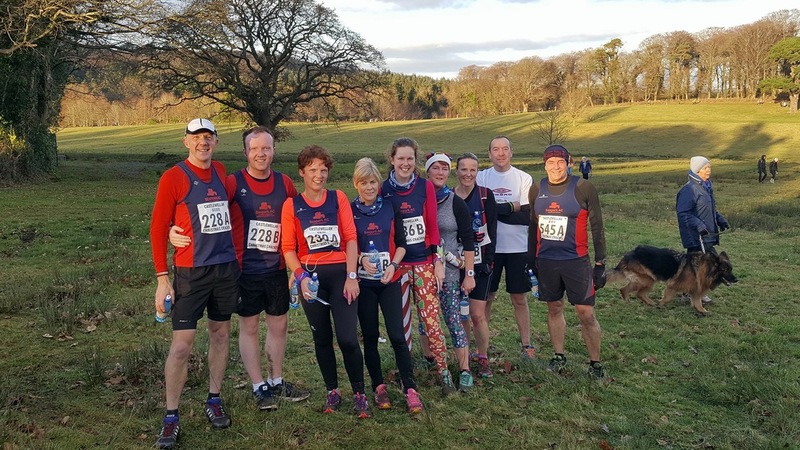 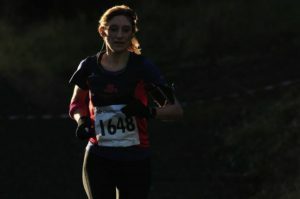 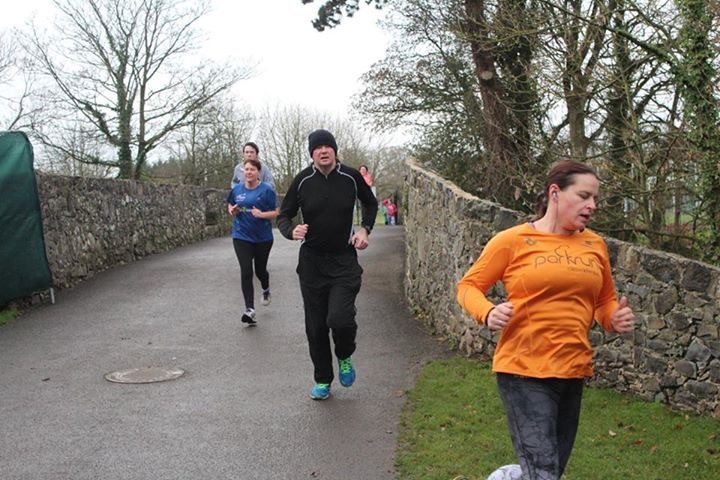 Saturday 17 December saw the 4th race in the Born2Run ‘Run Forest Run’ series in Kilbroney Park, Rostrevor. 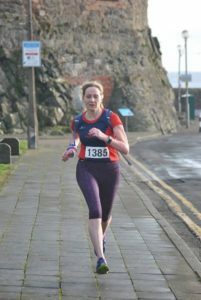 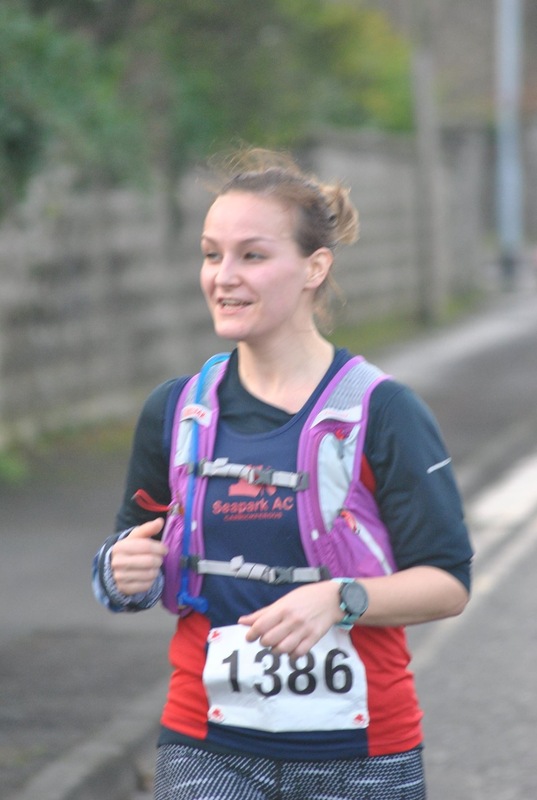 First Seaparker home was Bobbie Irvine with a time of 45:33. He was followed by Gavin Irvine 53.18, Nicola Irvine 58:43, Colin McCrum 58.58, Simon Trimble 1:01:09 (course PB) and Becki Tester 1:04:51. 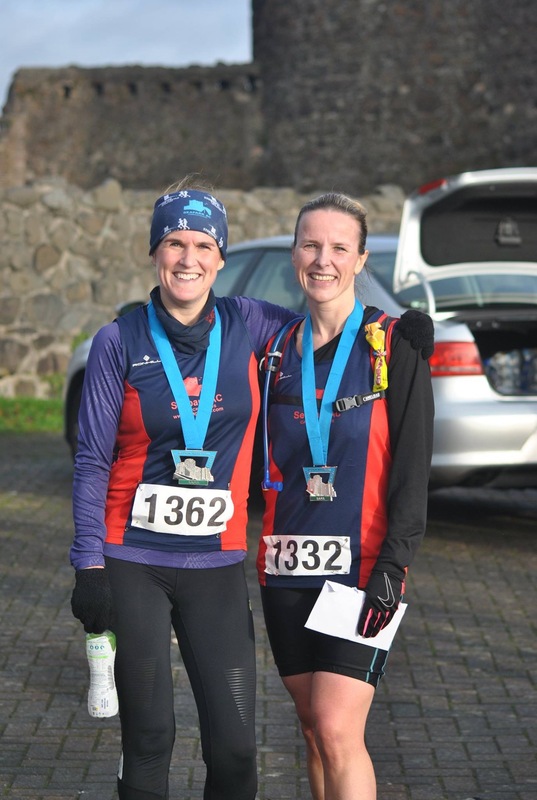 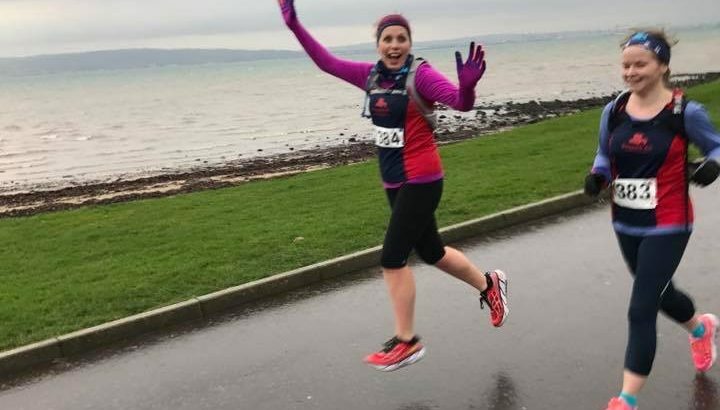 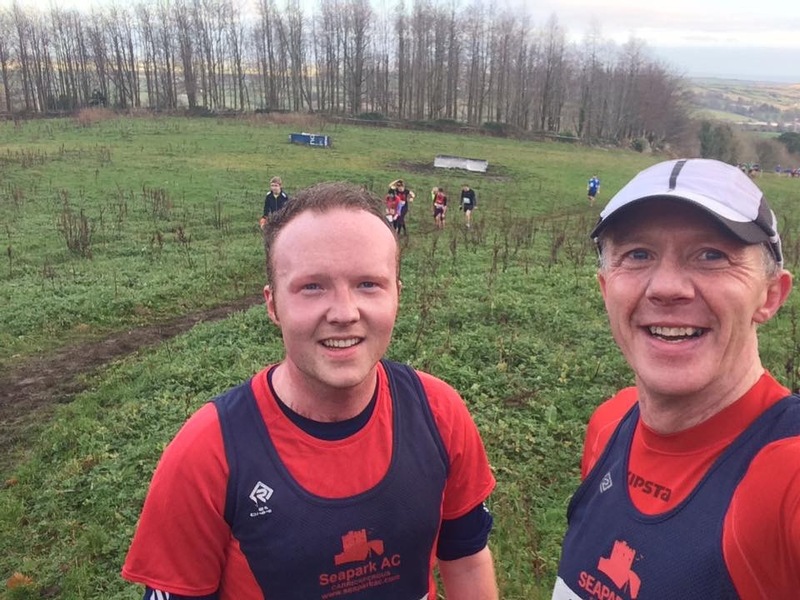 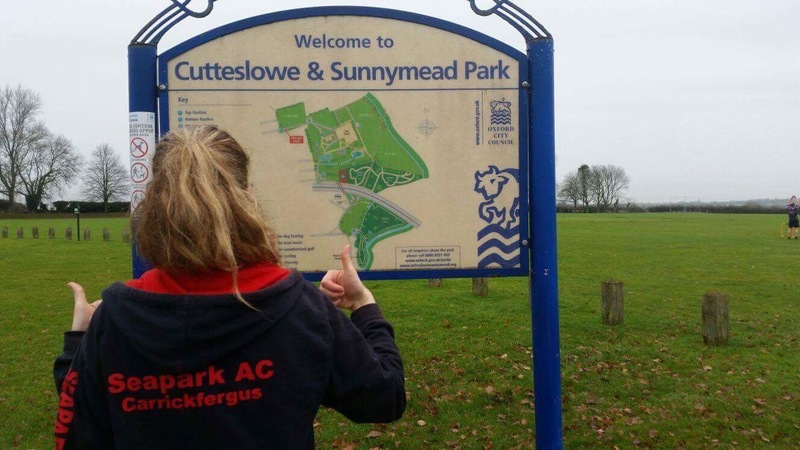 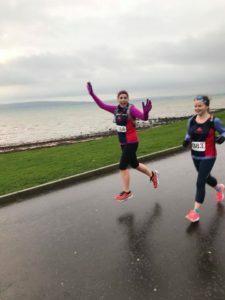 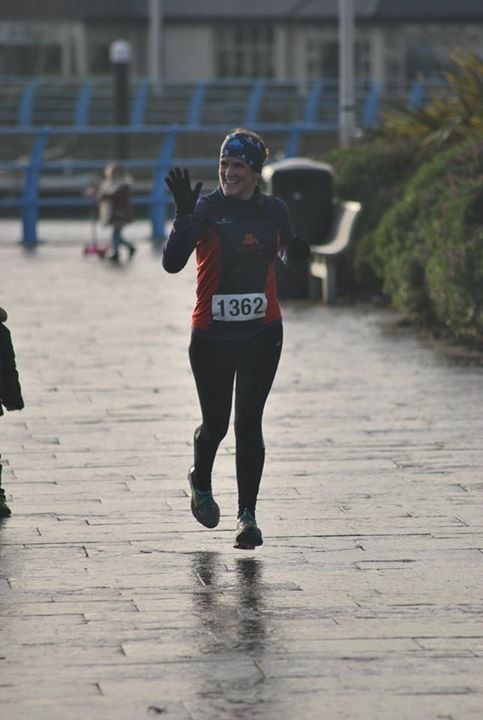 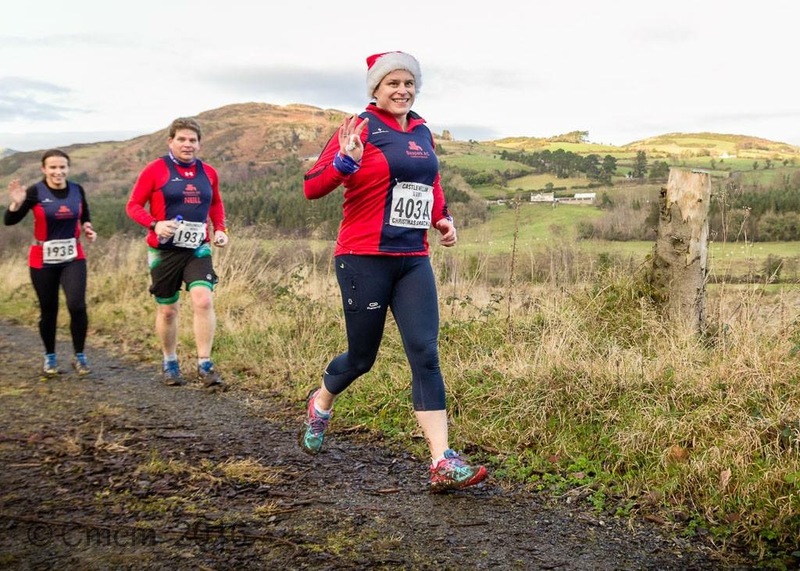 On Sunday 18 December 4 Seaparkers headed to Belfast for the Cave Hill 5 mile run. 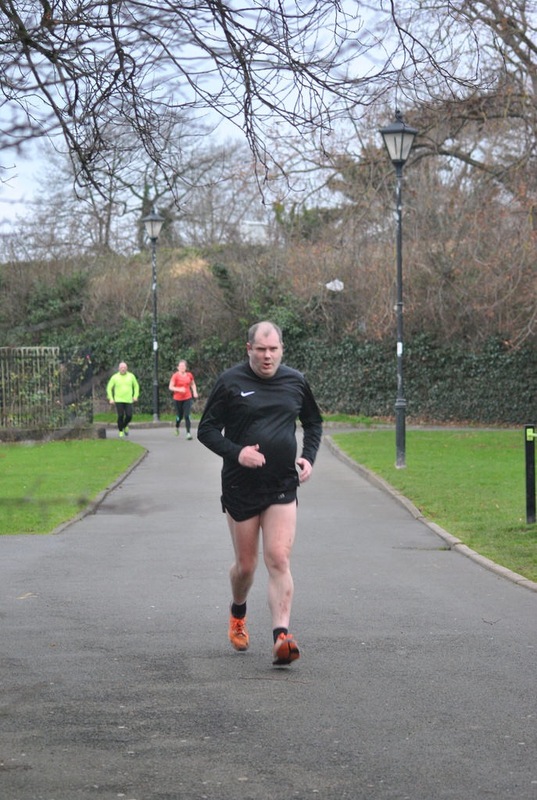 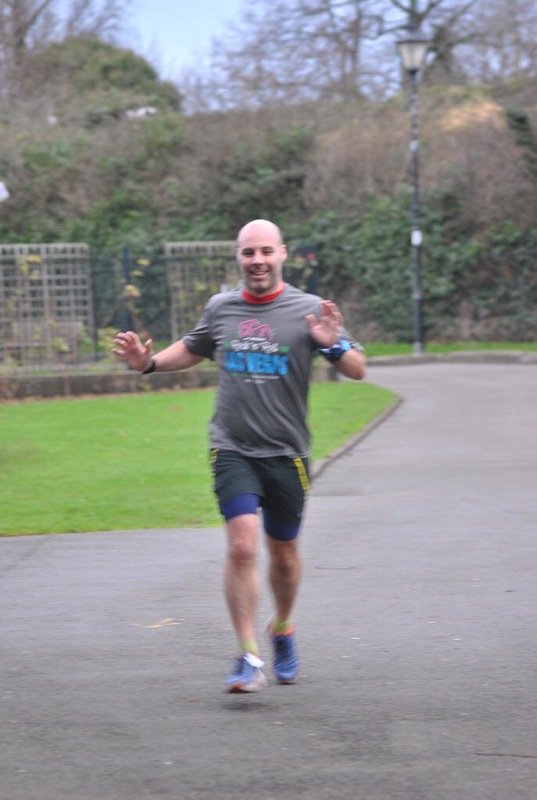 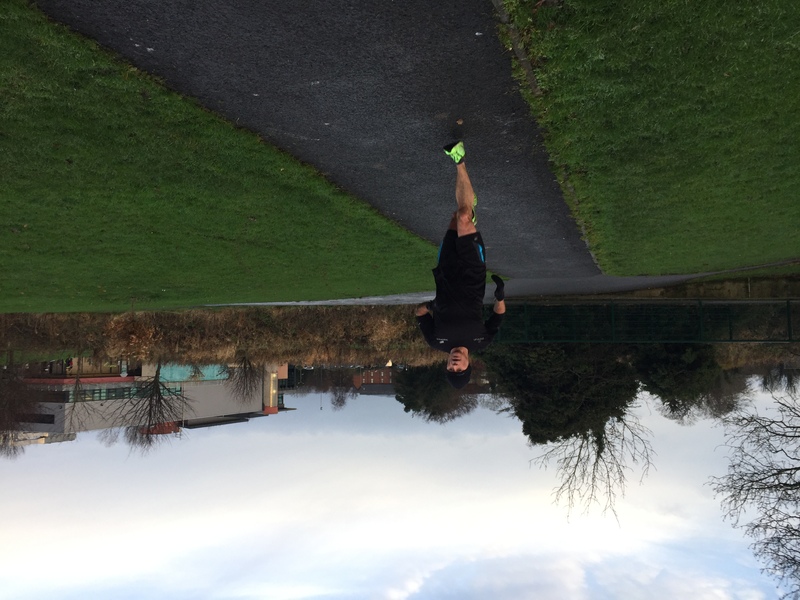 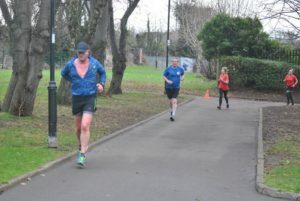 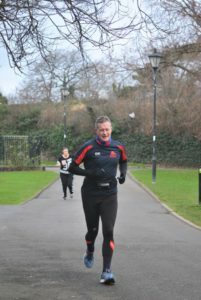 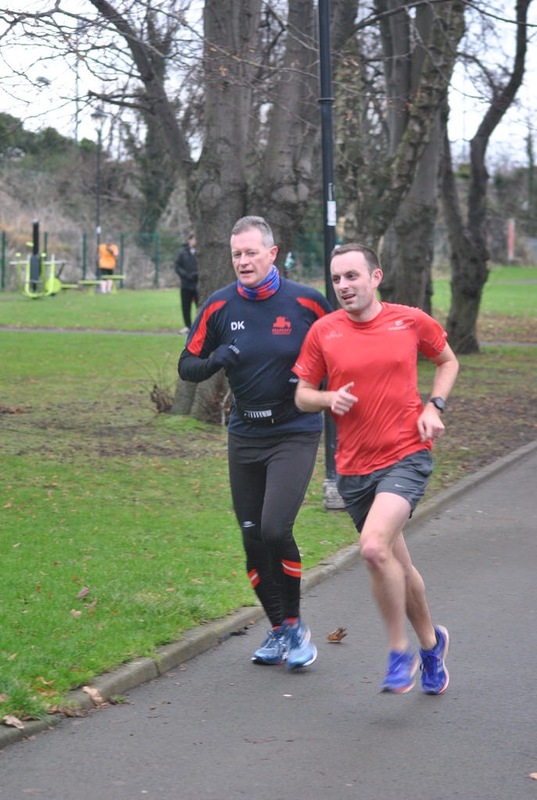 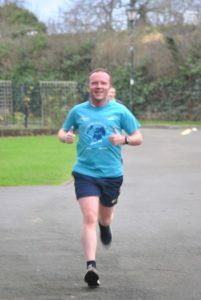 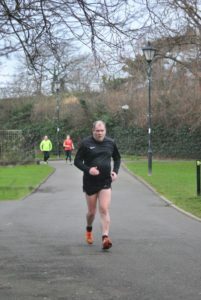 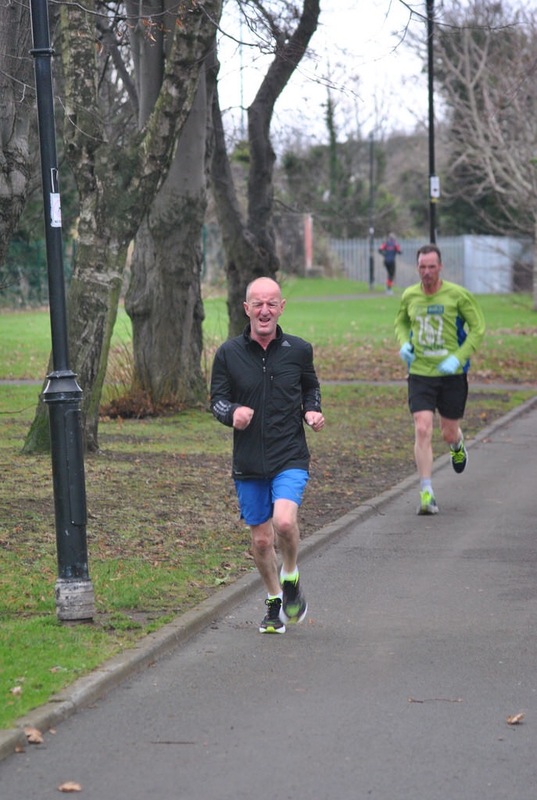 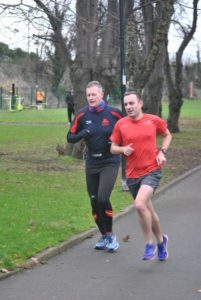 First home (and 6th place overall) for Seapark was Ian Cleland in 39:43. He was followed by Jonathan Beattie 41:22, Robert Murray 45:05 and Ronald Simms 45:17. 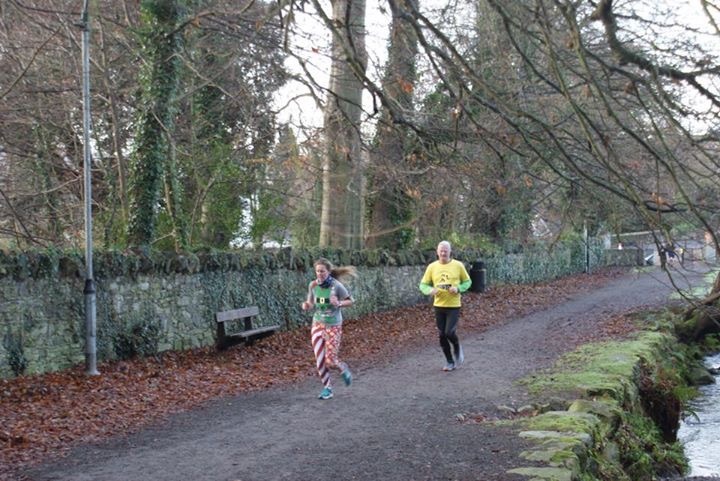 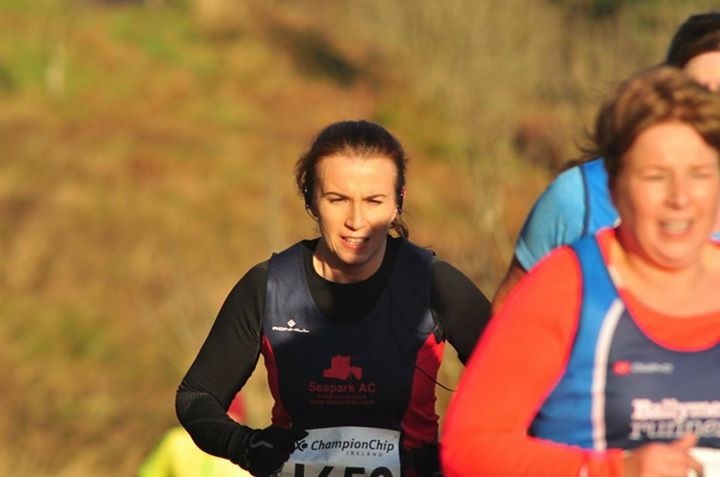 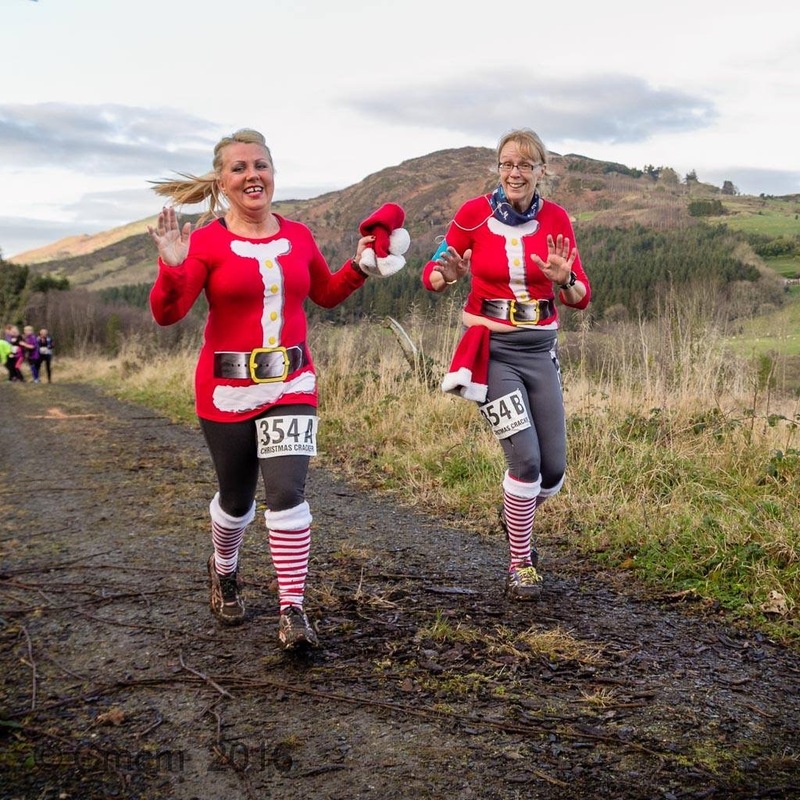 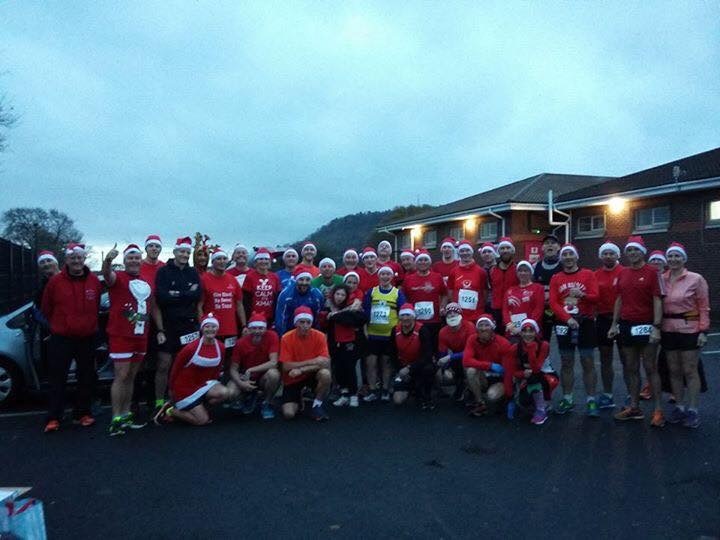 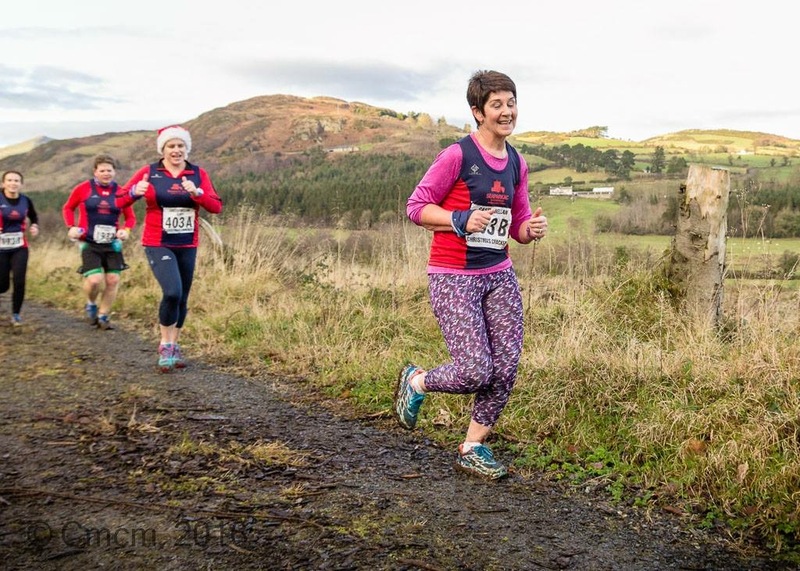 On the 27th December 13 teams from Seapark entered the Castlewellan Christmas Cracker, where competitors run as pairs. Results; Jonathan Beattie and Ian Cleland 1:04:30. 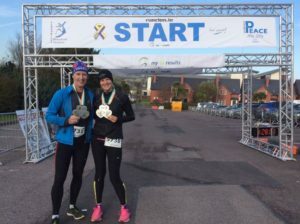 Robert Steele and Pamela Kane 1:29:43. 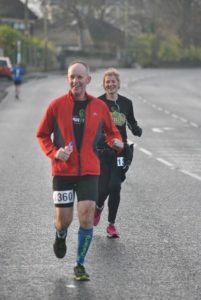 Andrew Smyth and Gillian Strudwick 1:30:31. 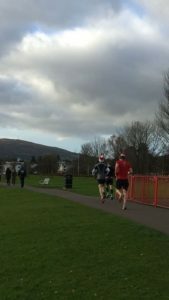 Bobbie Irvine and Gavin Irvine 1:32:23. 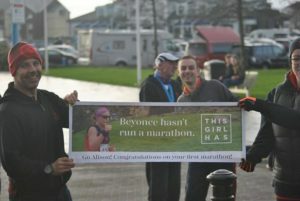 Philip Mone and Mark Anderson 1:36:12. 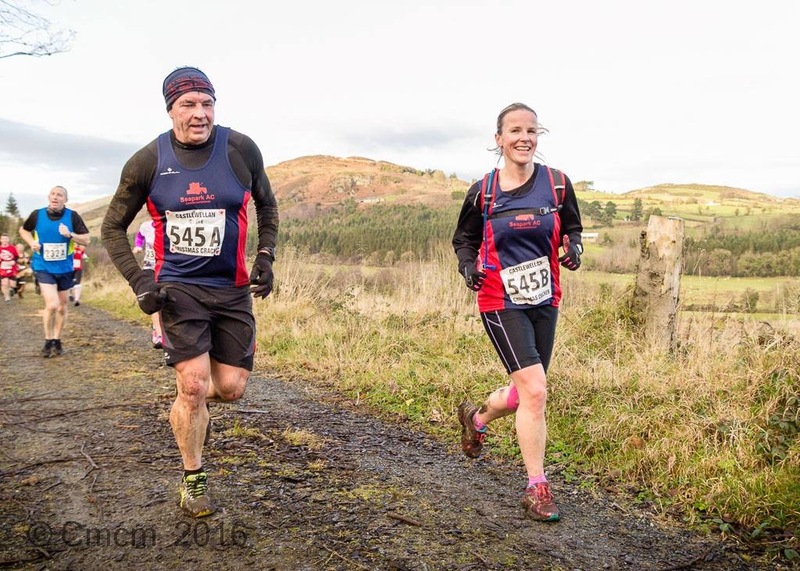 Julie Clyde and Martin Clyde 1:39:42. 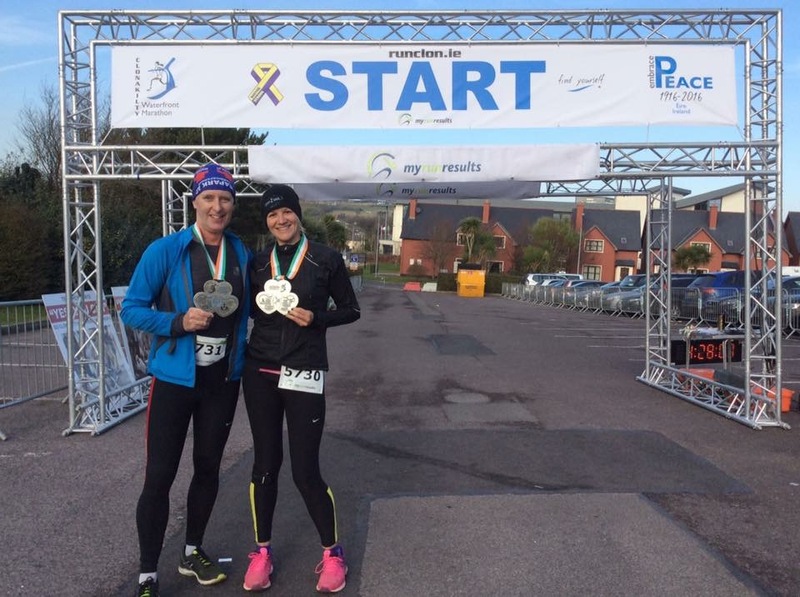 Rebecca Tester and Conor Sheridan 1:44:24. 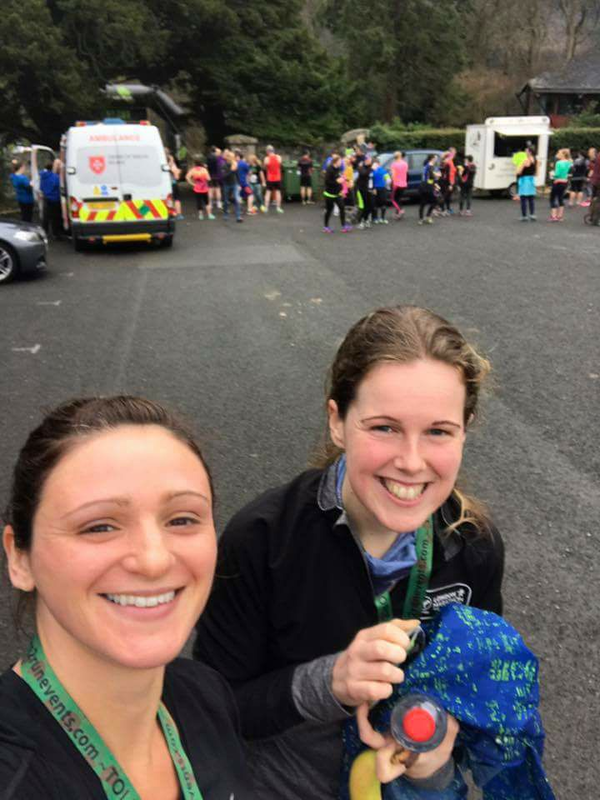 Nicola Irvine and Julie Lyness 1:44:27. Wesley Wallace and Carrie Brown 1:50:52. Neill Harper and Karen Waring 1:55:12. 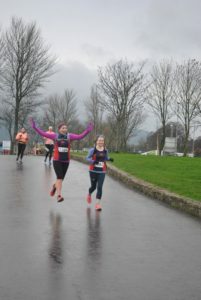 Karen McMaster and Marie Nicholson 1:58:55. Ann McCracken and Phillipa Bell 2:02:13. 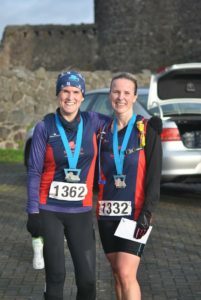 Caroline Mone and Lorraine Ogilby 2:09:38. 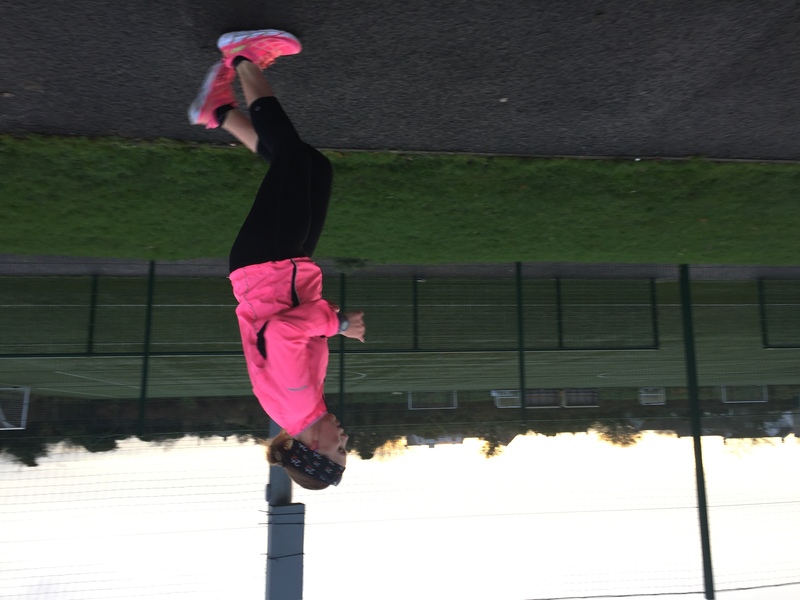 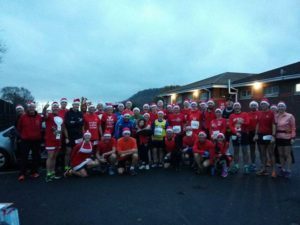 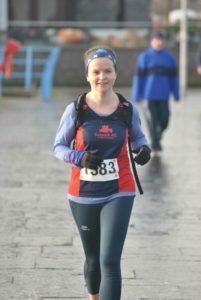 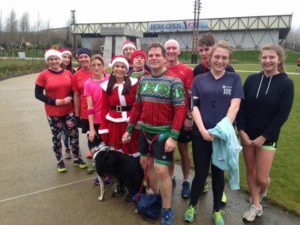 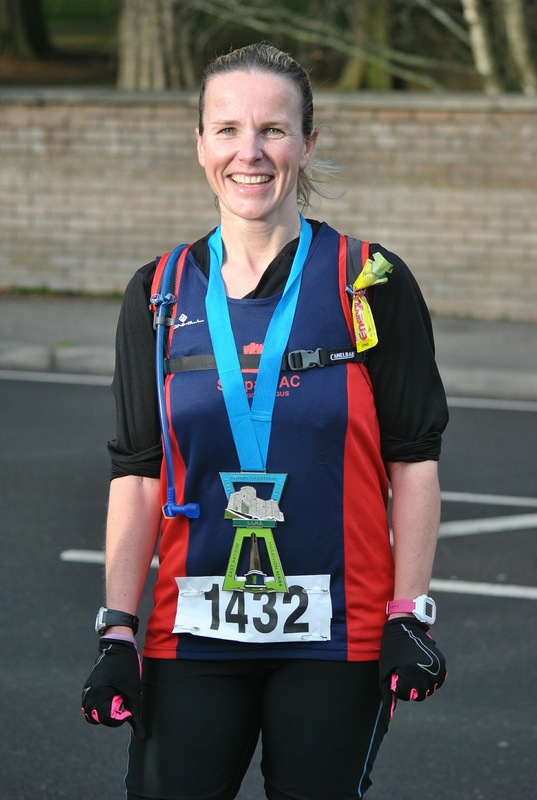 On the 30th and 31st December the East Antrim Marathon Series ran a Back to Back marathon event, with a marathon on each day. The 30th started at Carrickfergus Castle and the 31st from Greenisland. 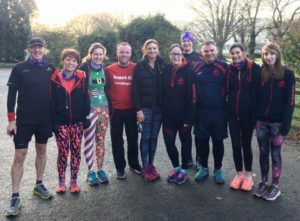 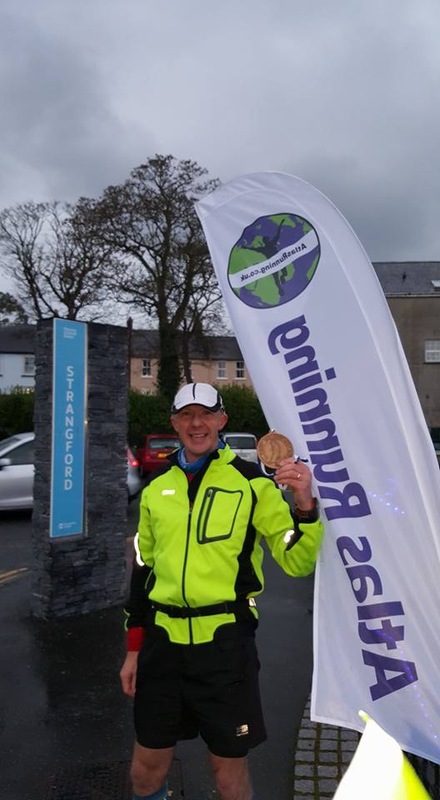 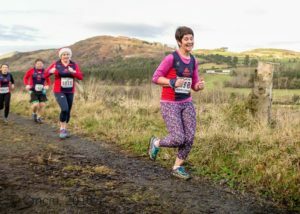 Seven club members successfully completed both Marathons, Gillian Strudwick (2nd lady on the first day and 2nd lady overall for both marathons), Caroline Salters, Brendan Rice, Charlie McCormick, Bobbie Irvine, Gillian Barnhill and Gary Connolly. 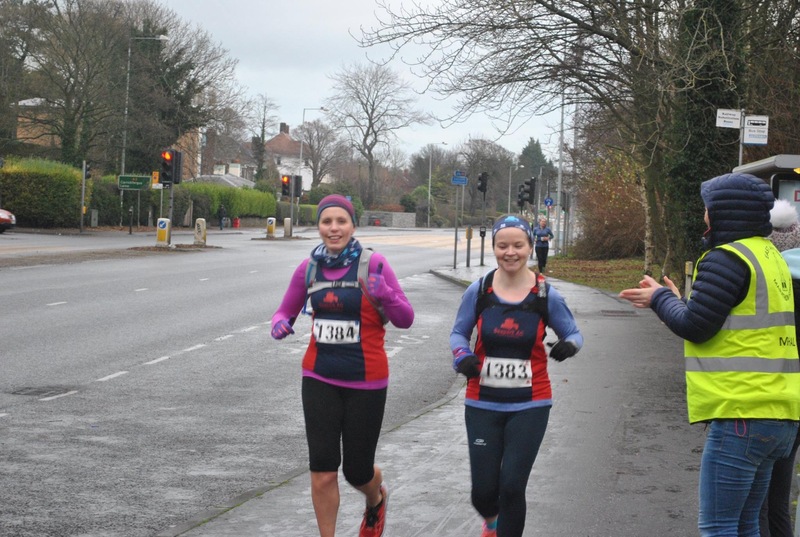 The 30th was also notable as four Seaparkers successfully completed their first marathon. 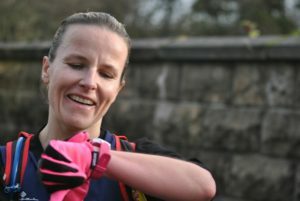 Jacqui Coghlan 4:36:35, Alison Welsh 4:37:06, Julie Marshall 4:39:56 and Sara Johnston 4:39:57. 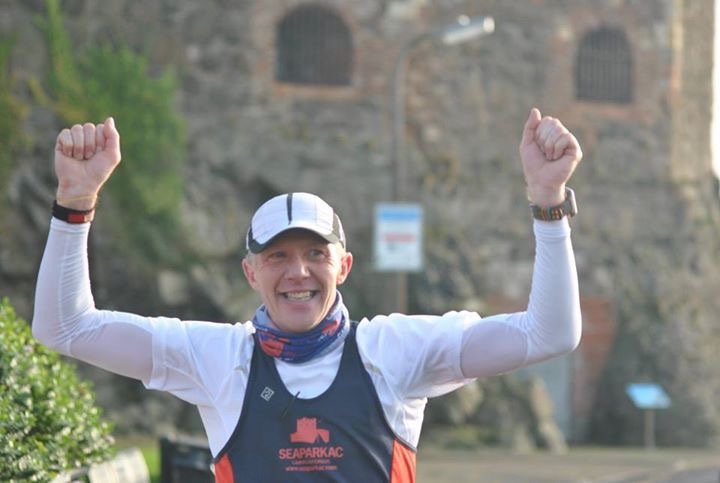 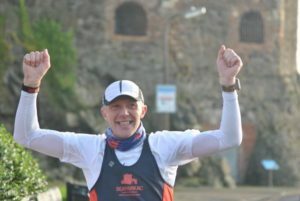 Johnathan Beattie also entered the Marathon on the 31st and was the first Seaparker home in a time of 3:55:25.